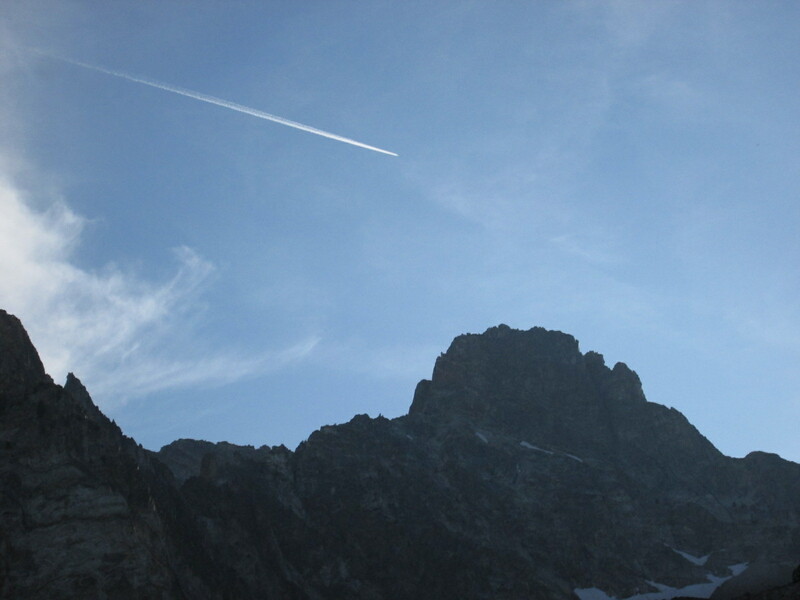 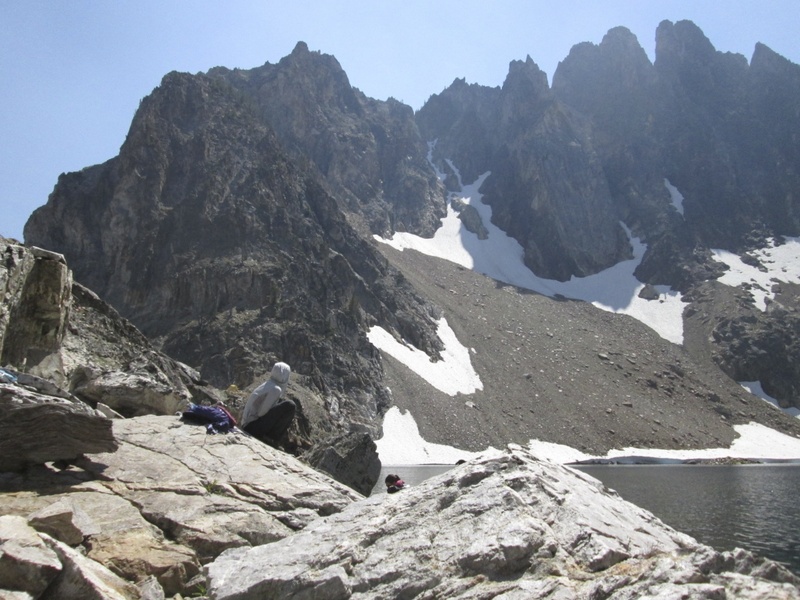 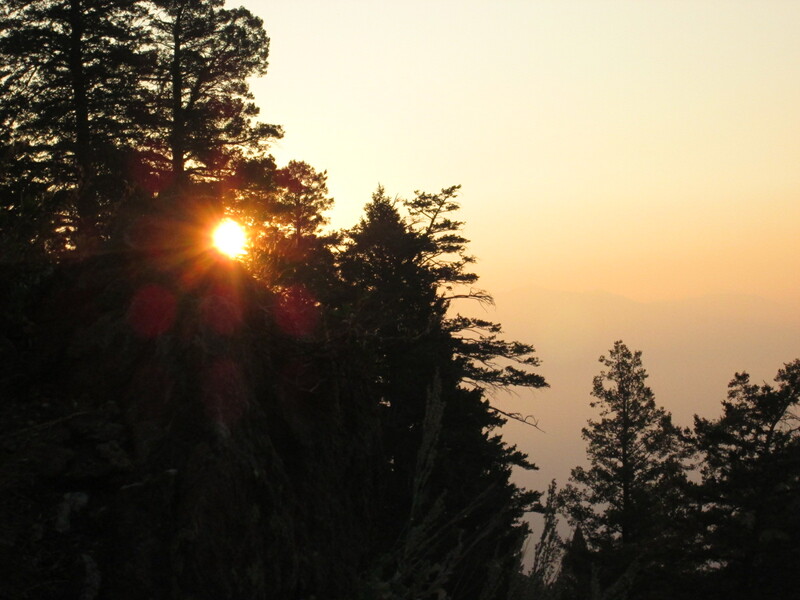 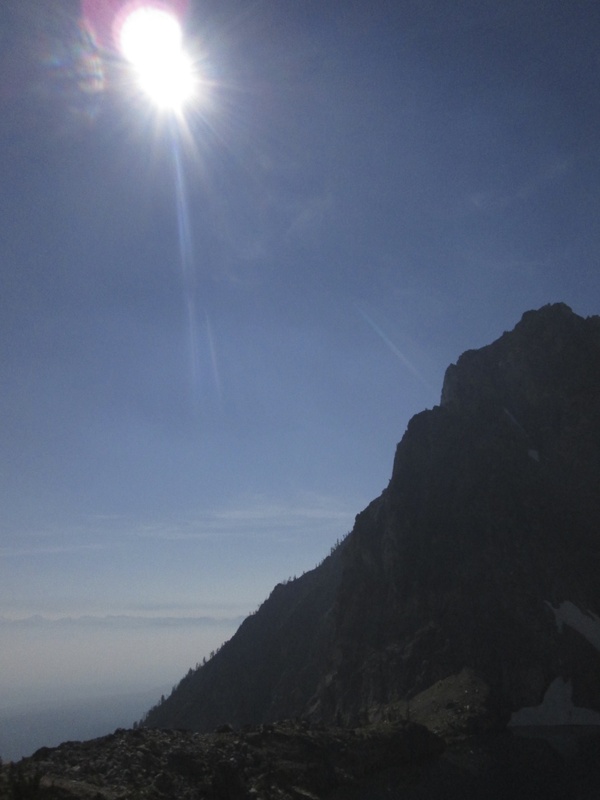 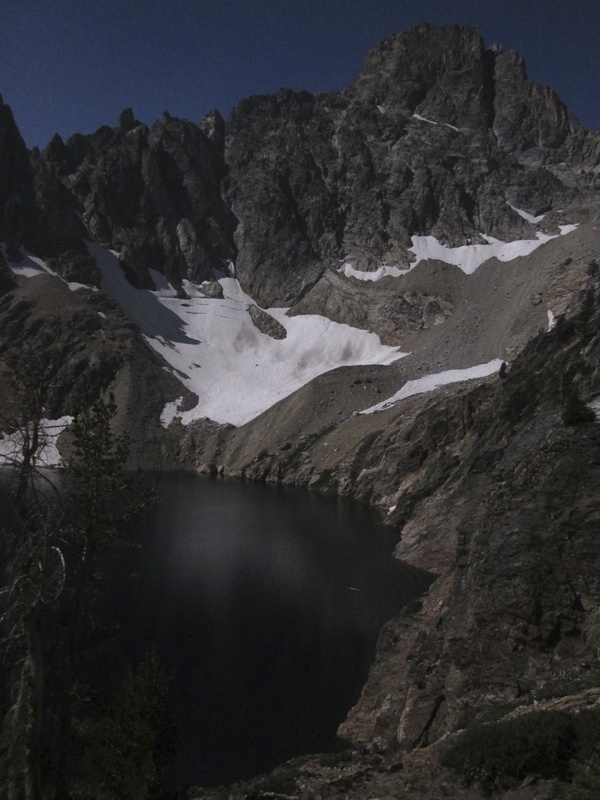 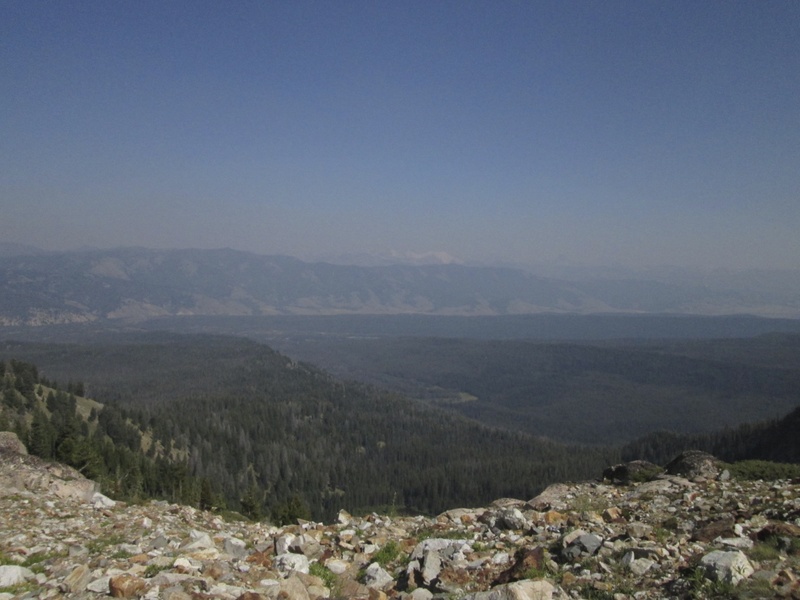 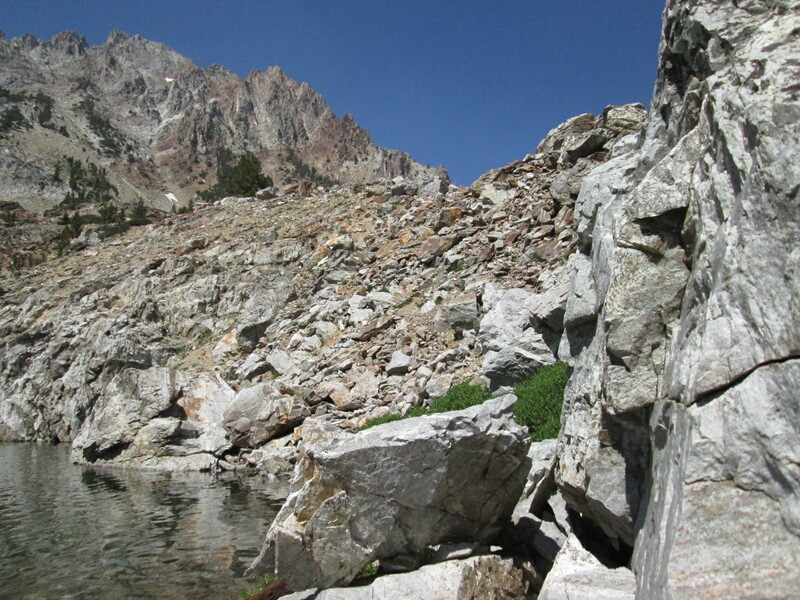 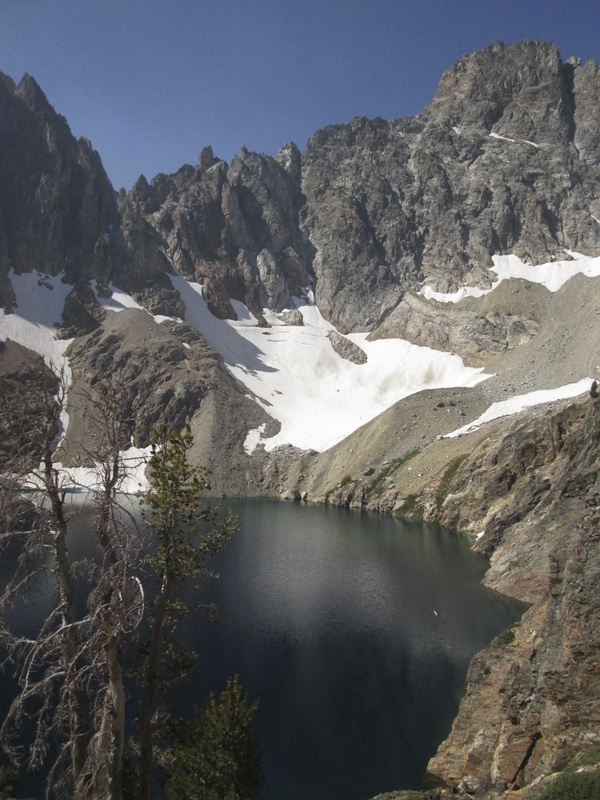 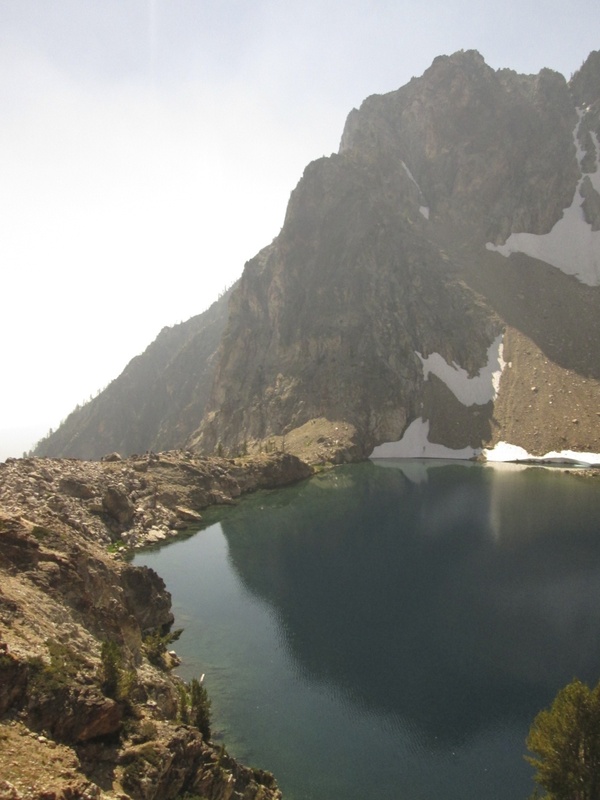 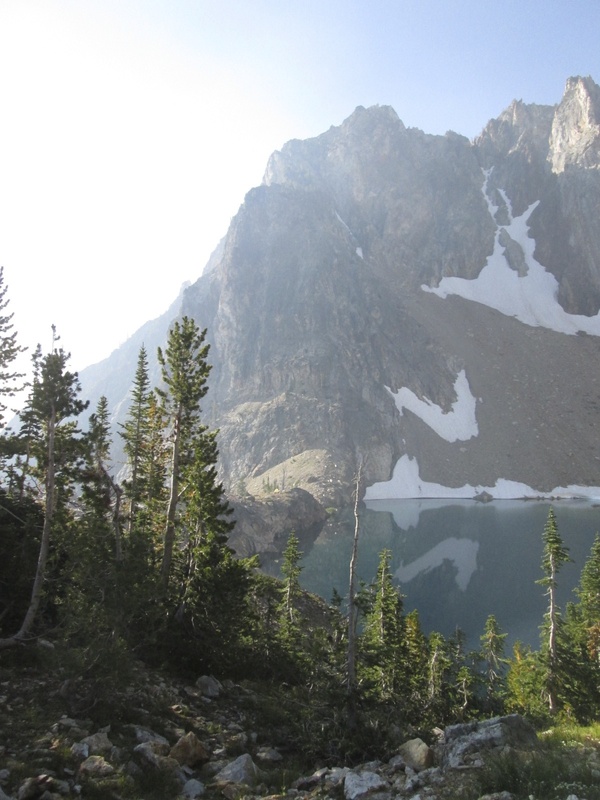 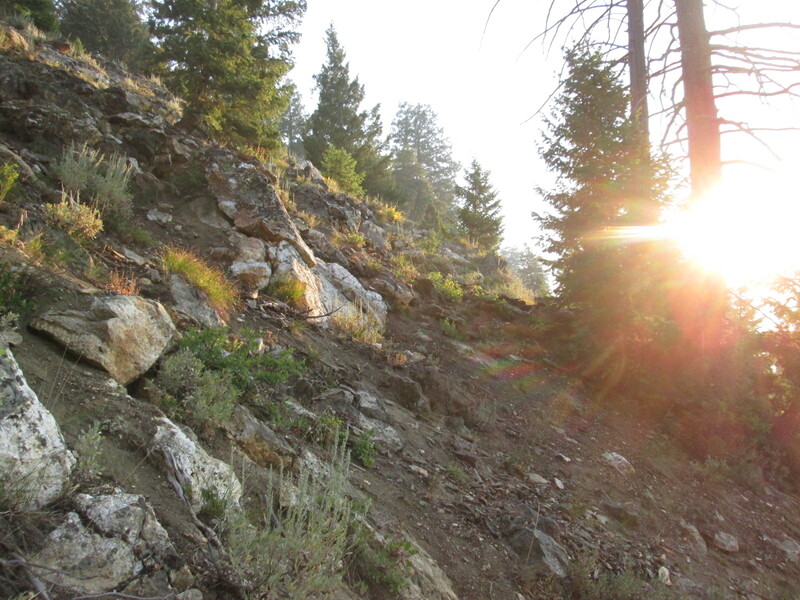 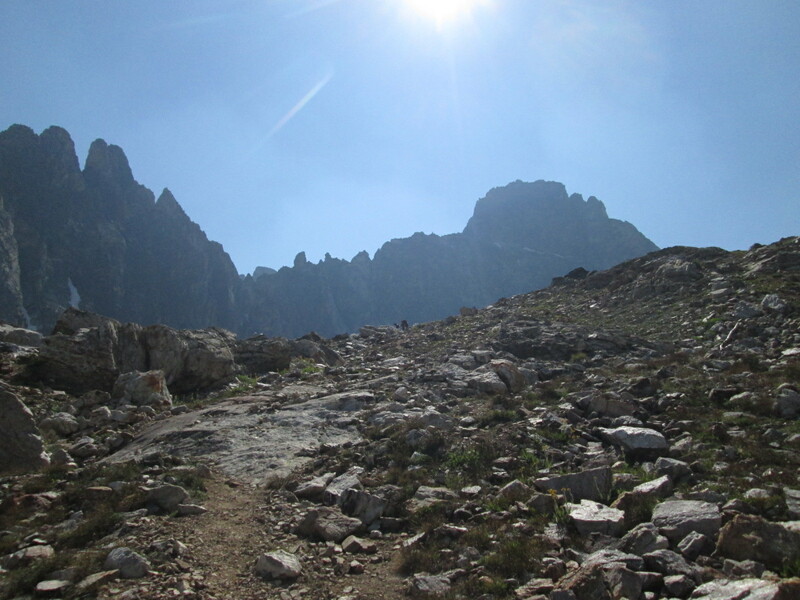 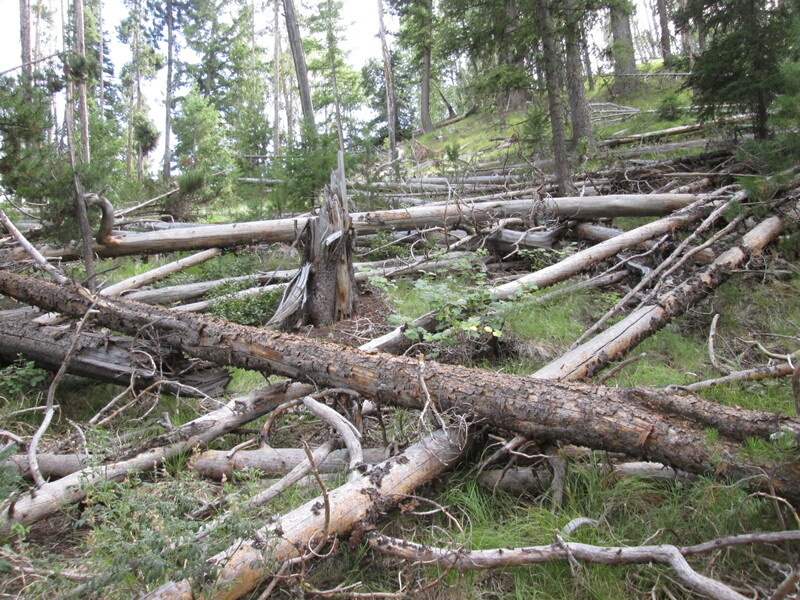 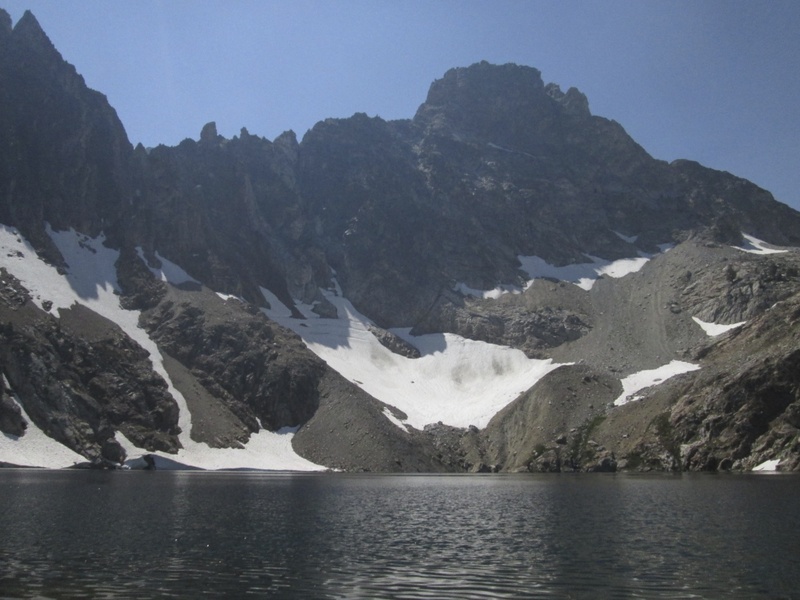 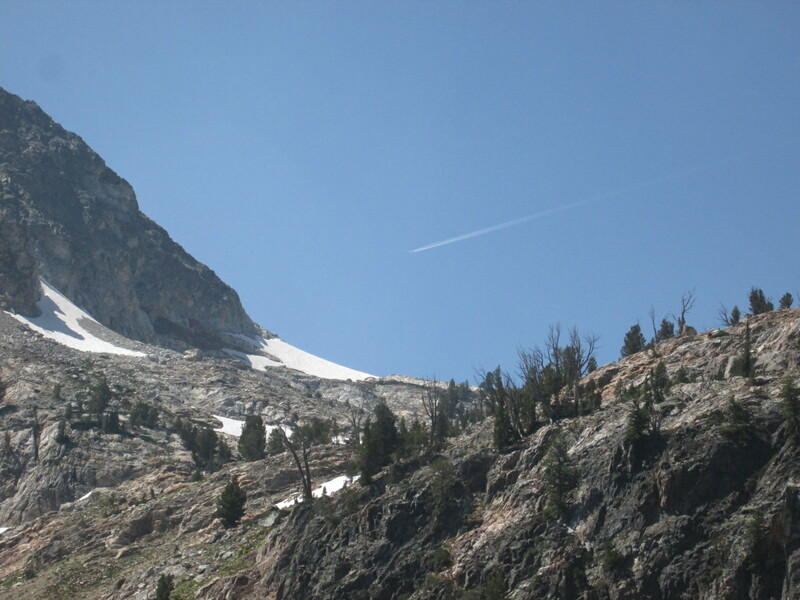 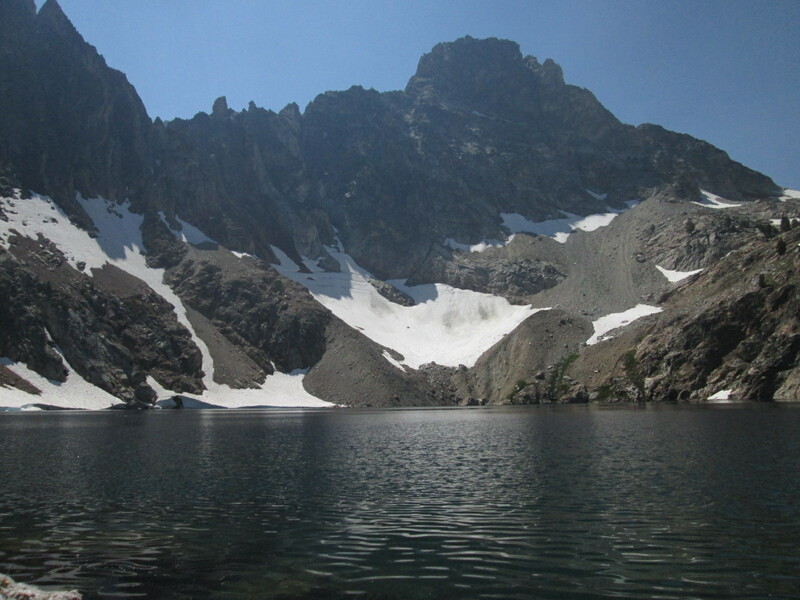 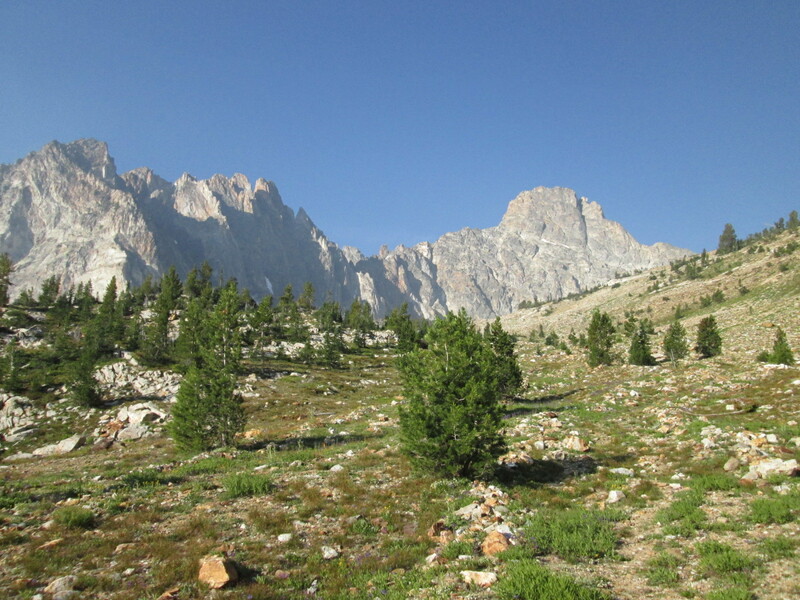 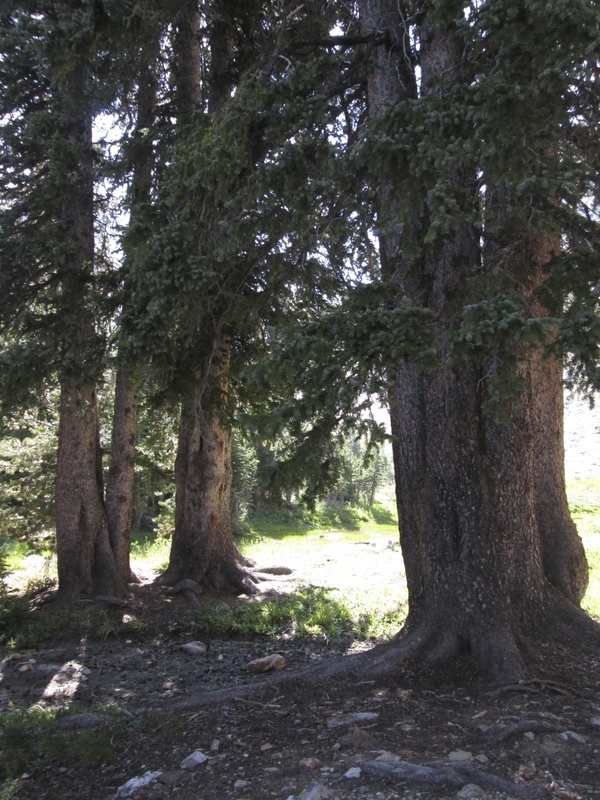 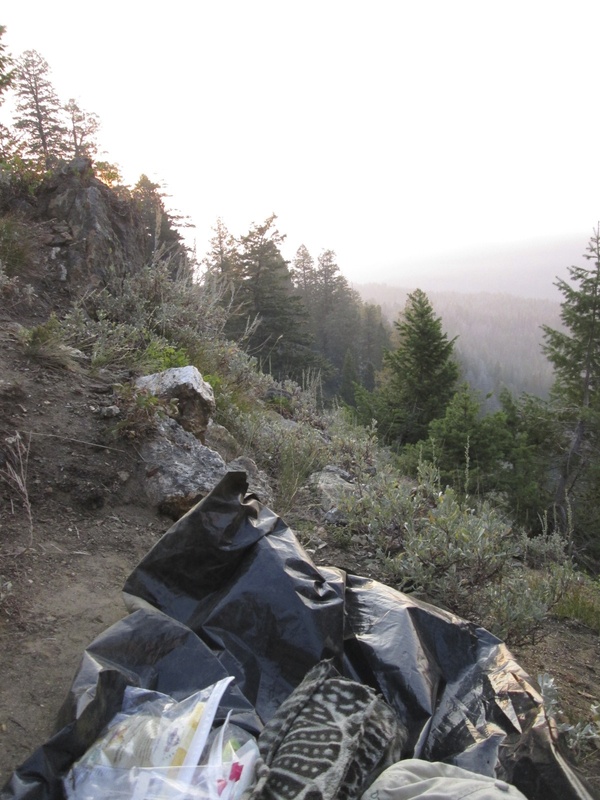 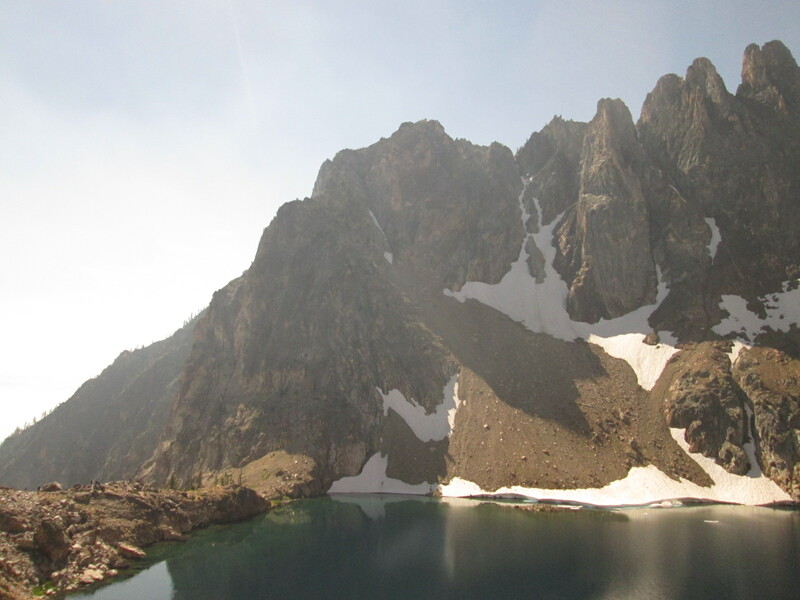 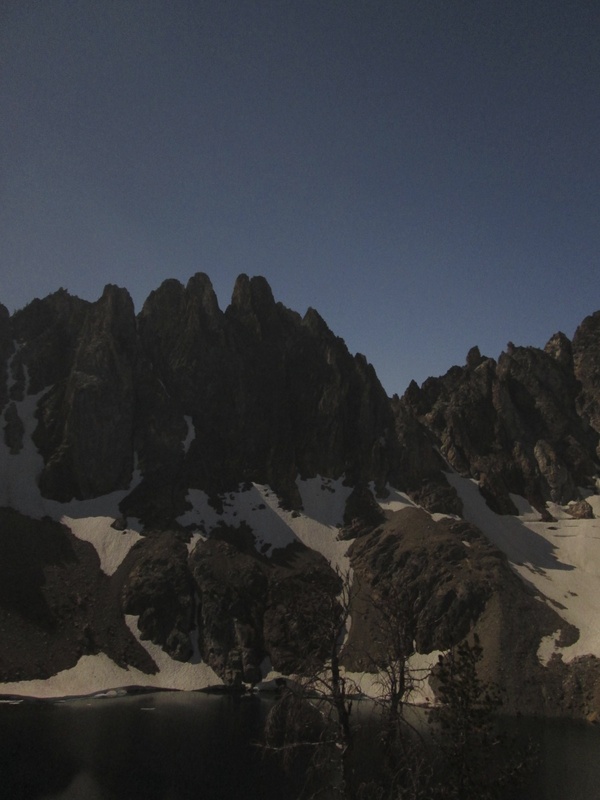 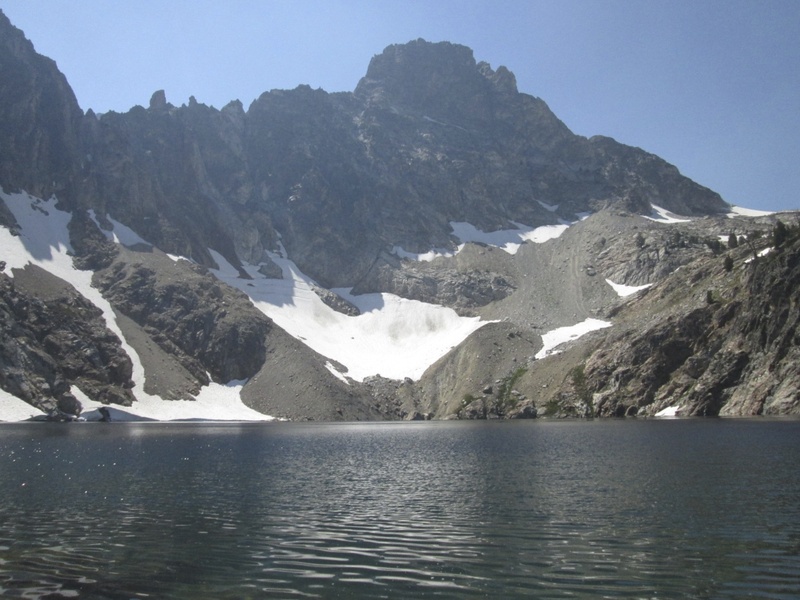 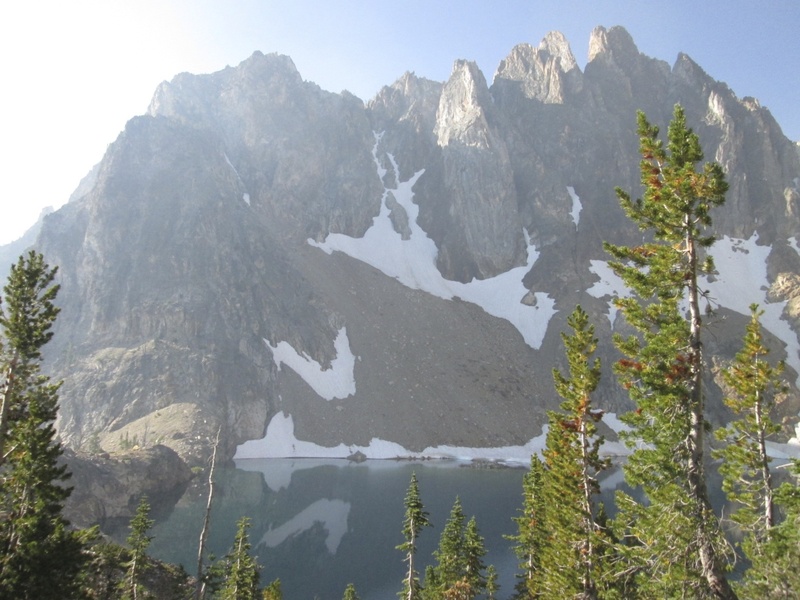 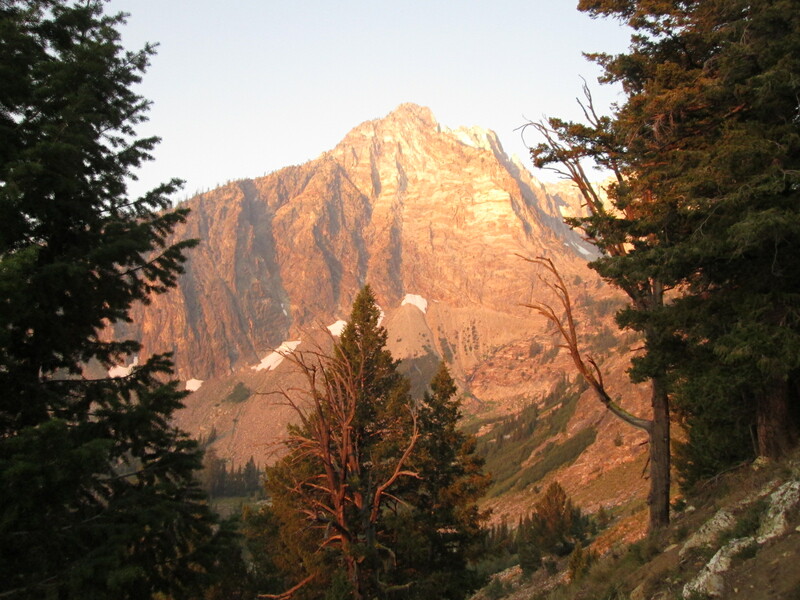 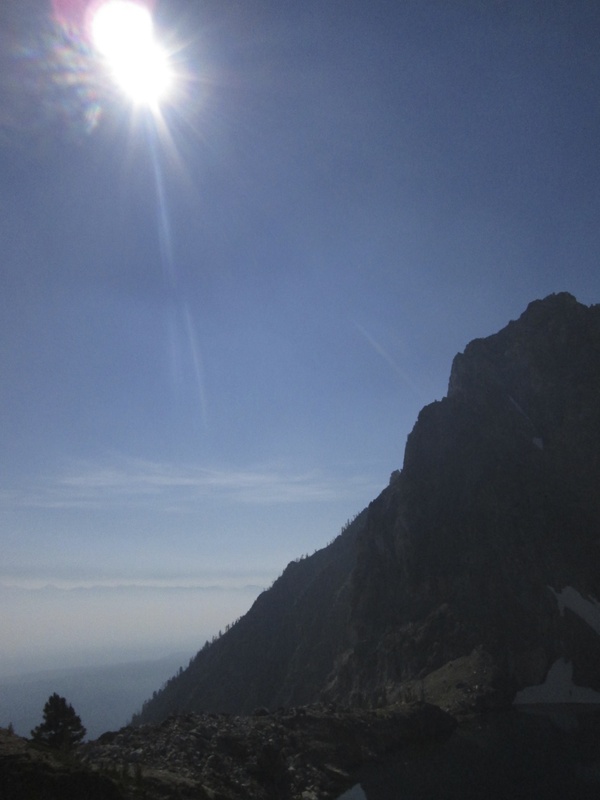 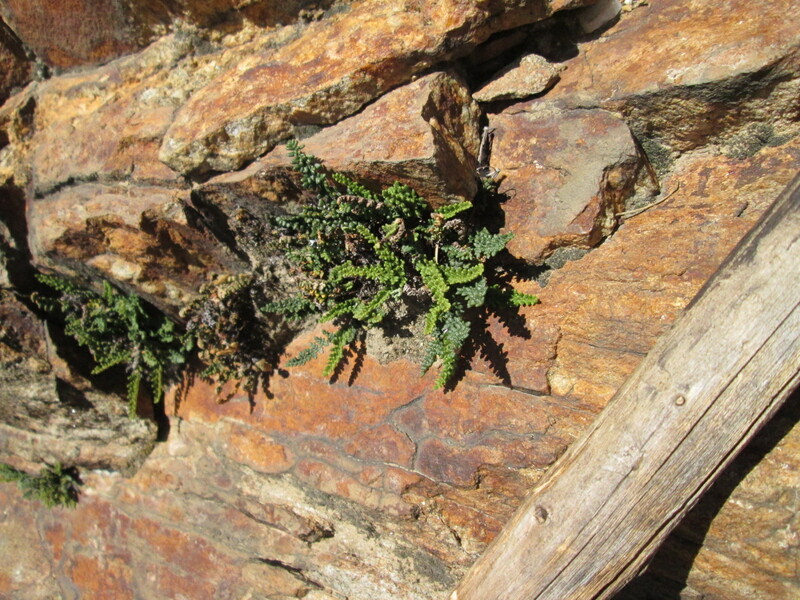 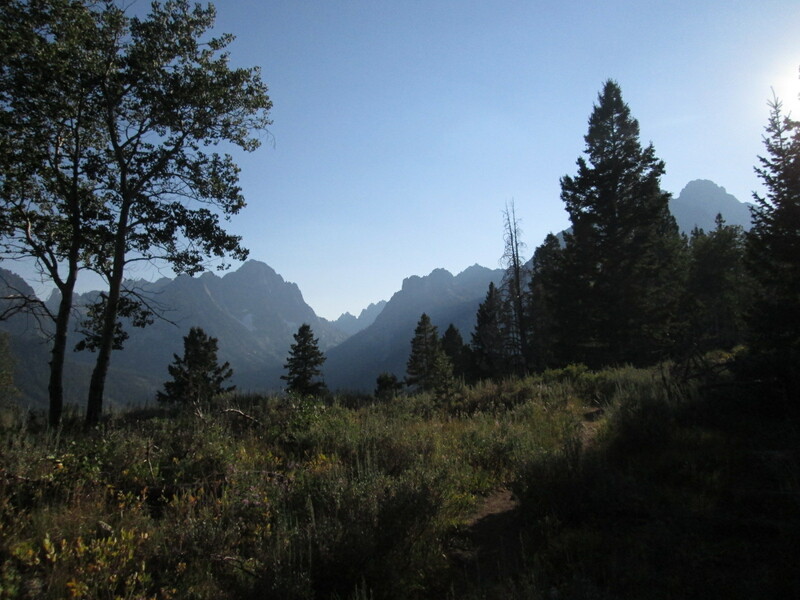 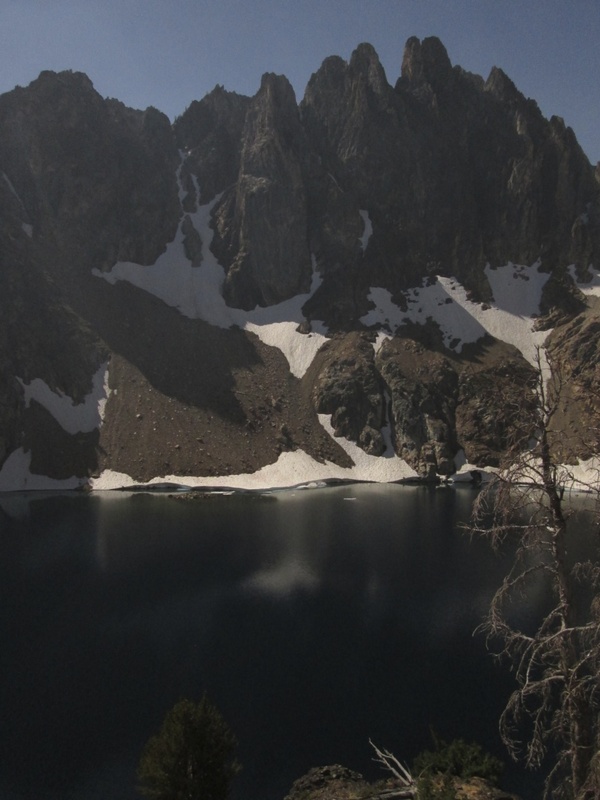 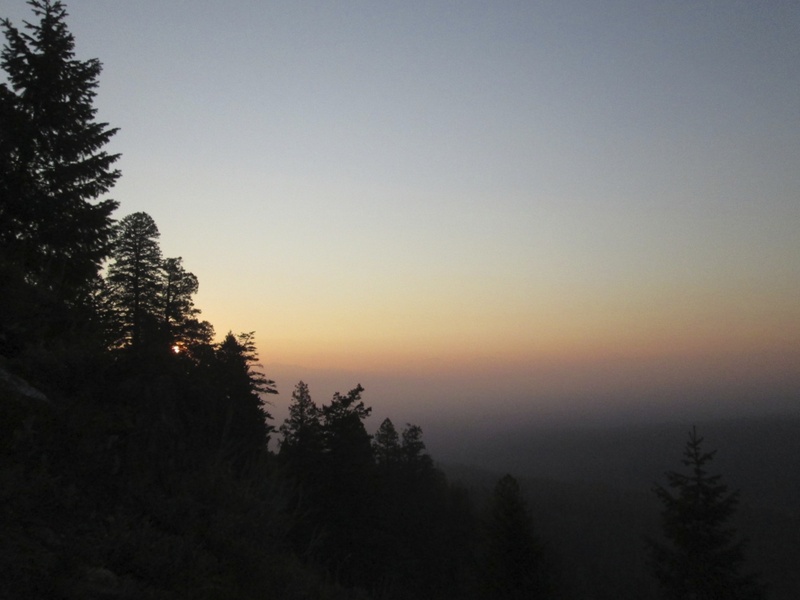 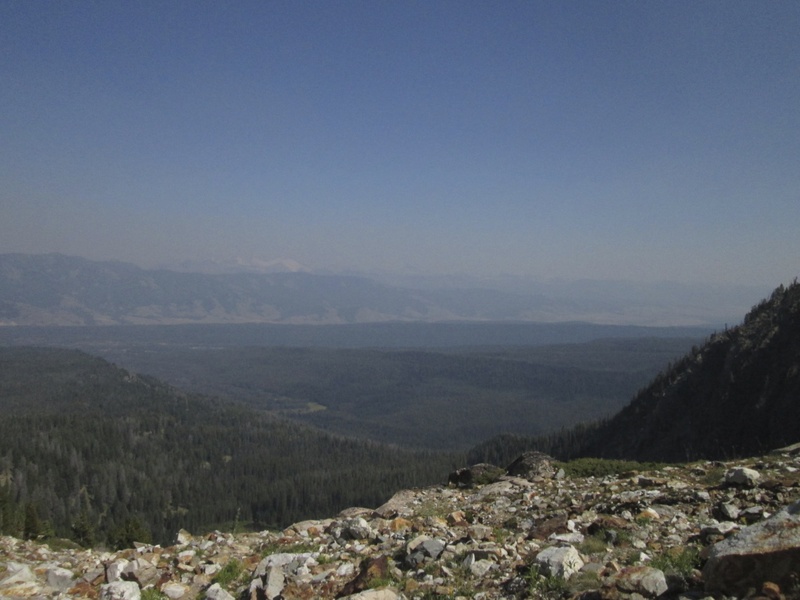 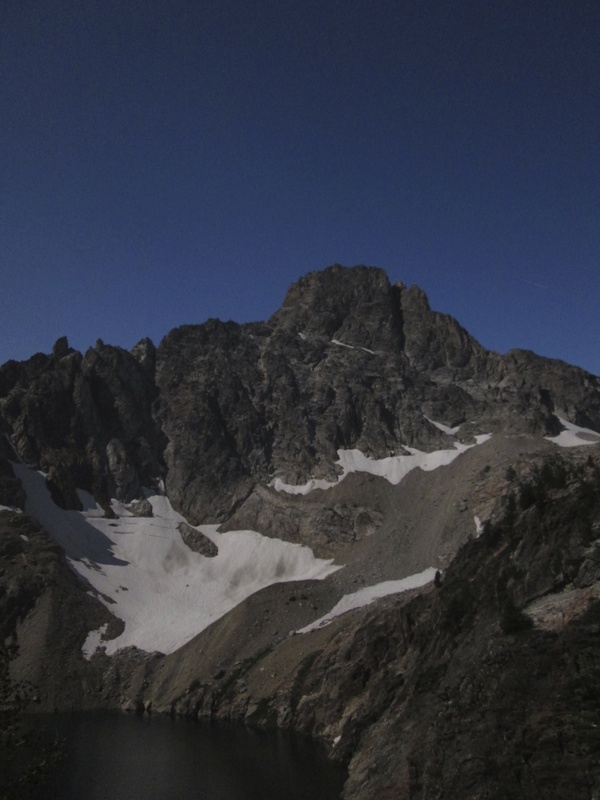 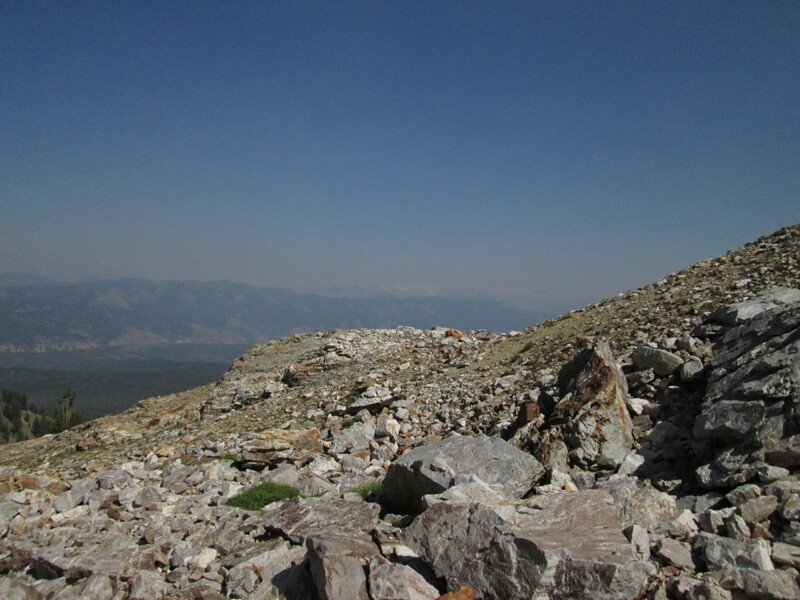 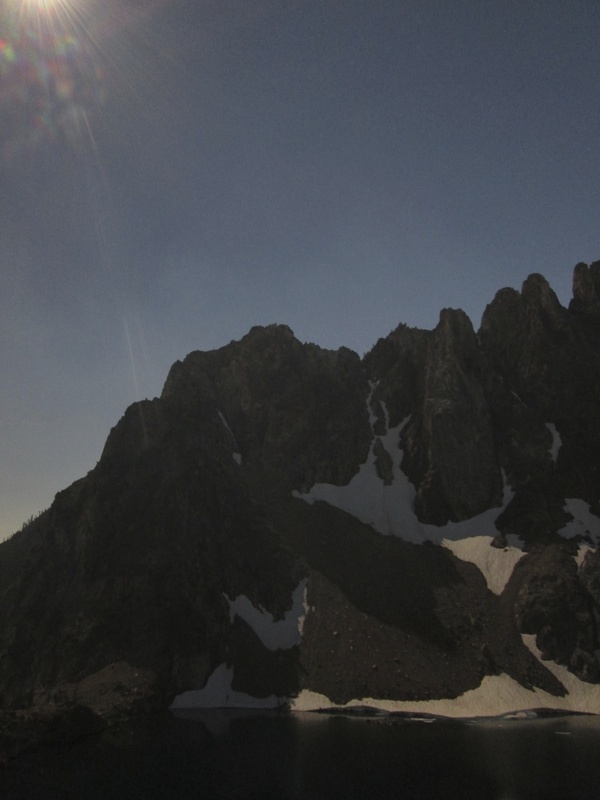 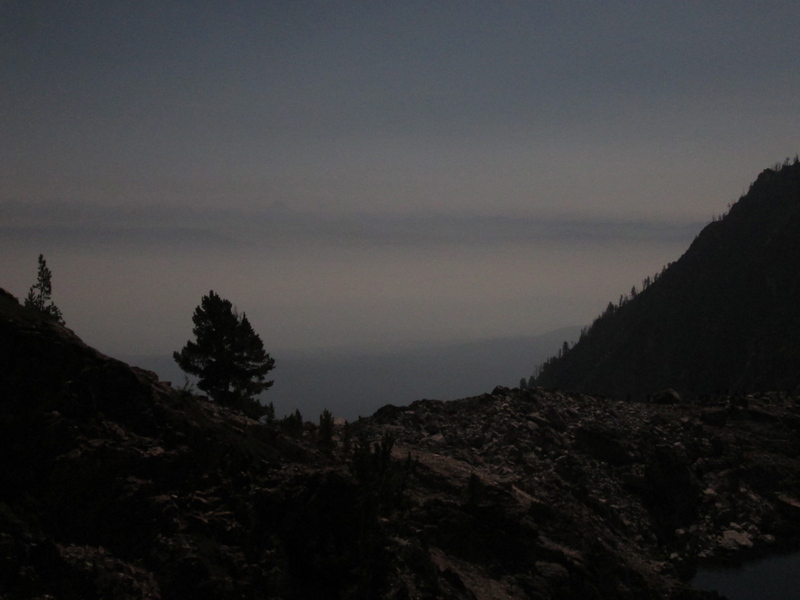 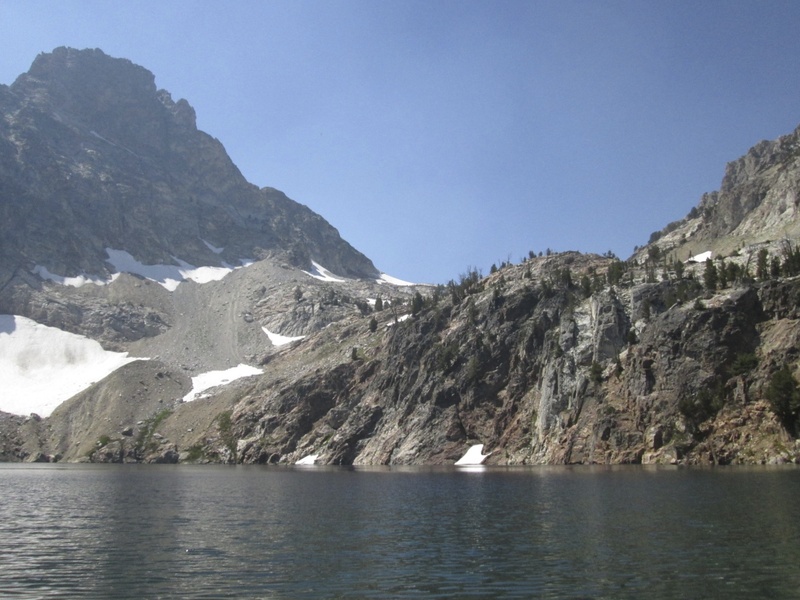 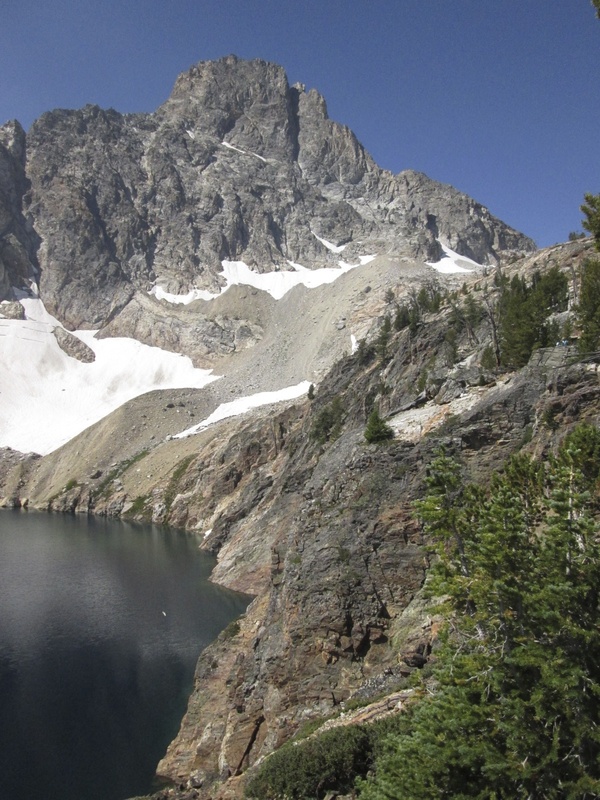 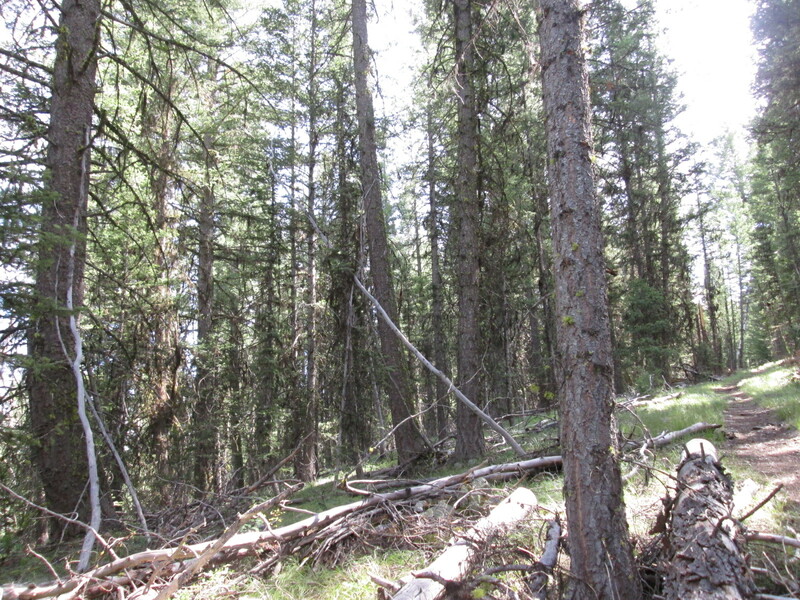 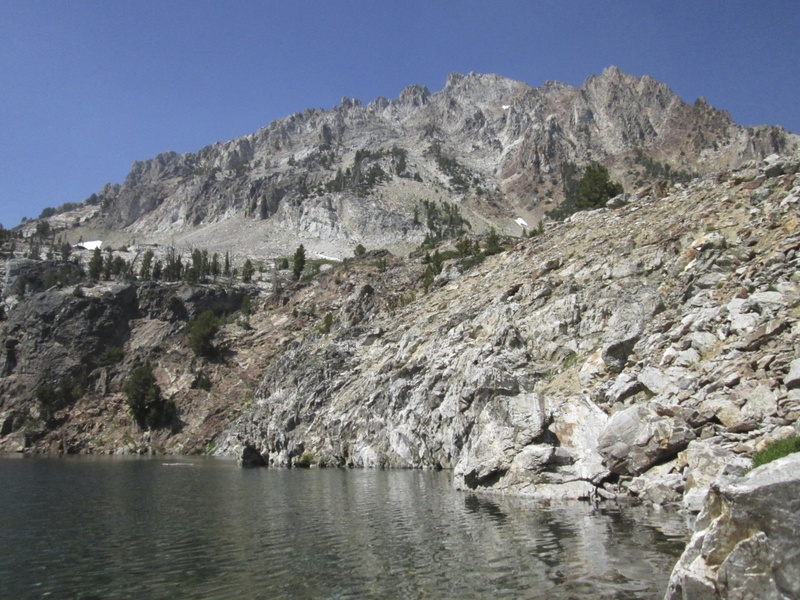 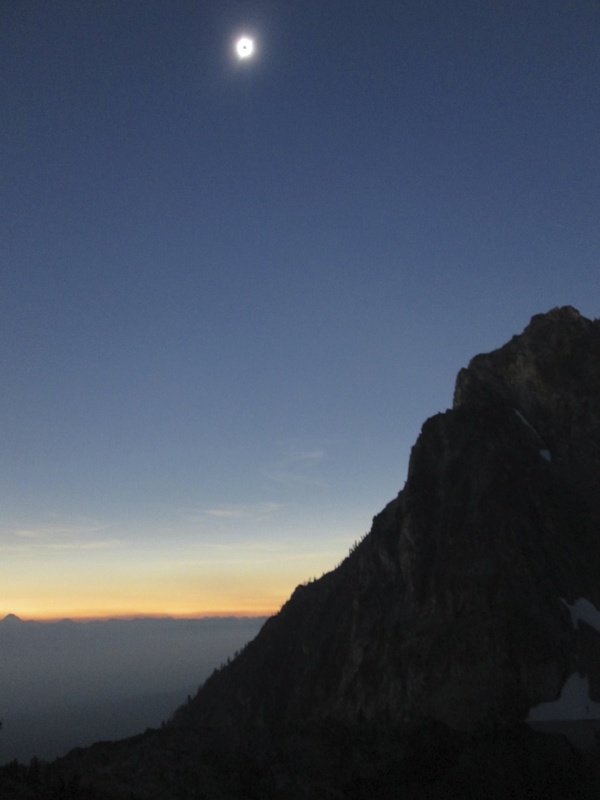 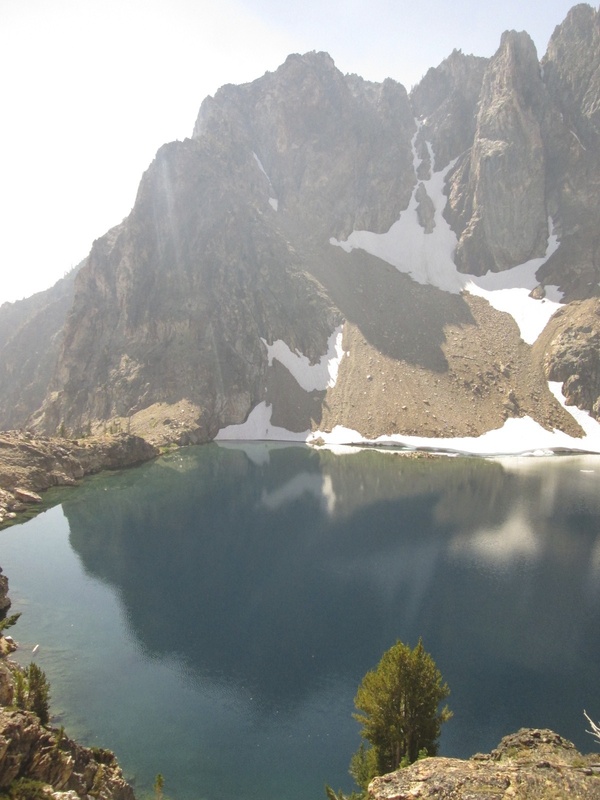 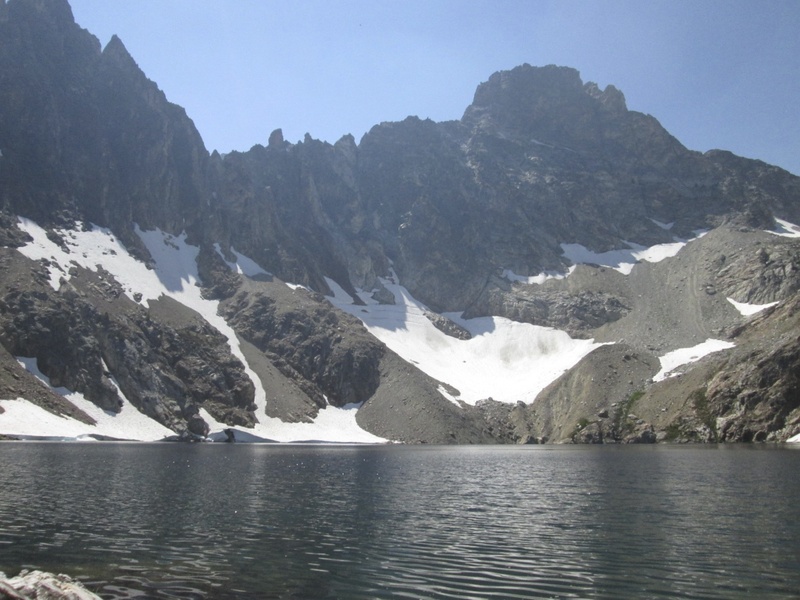 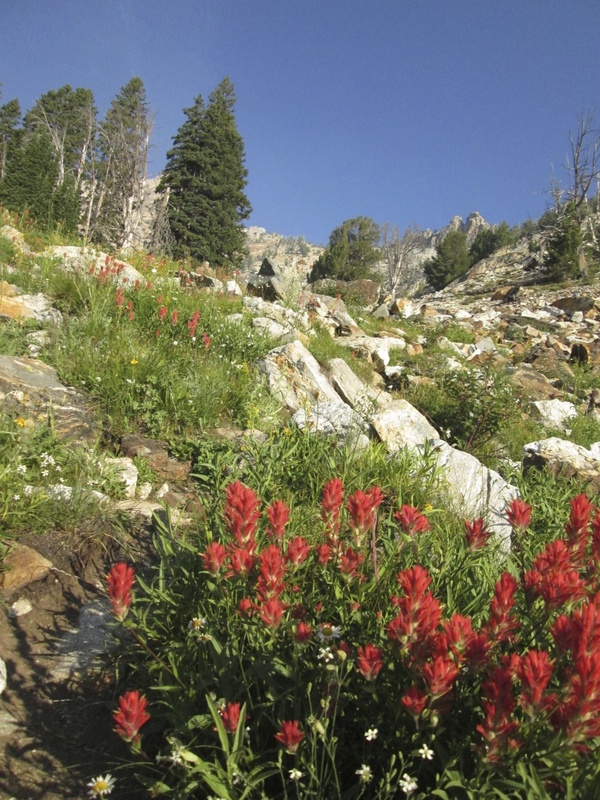 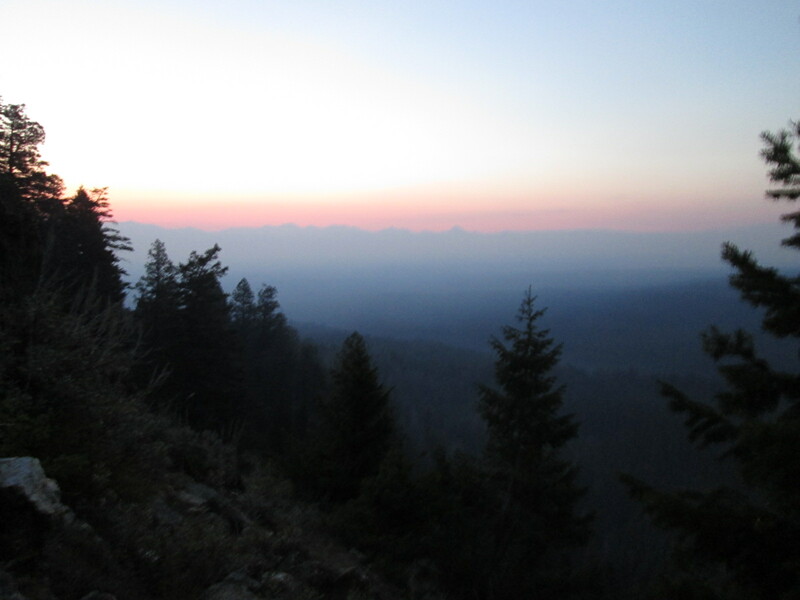 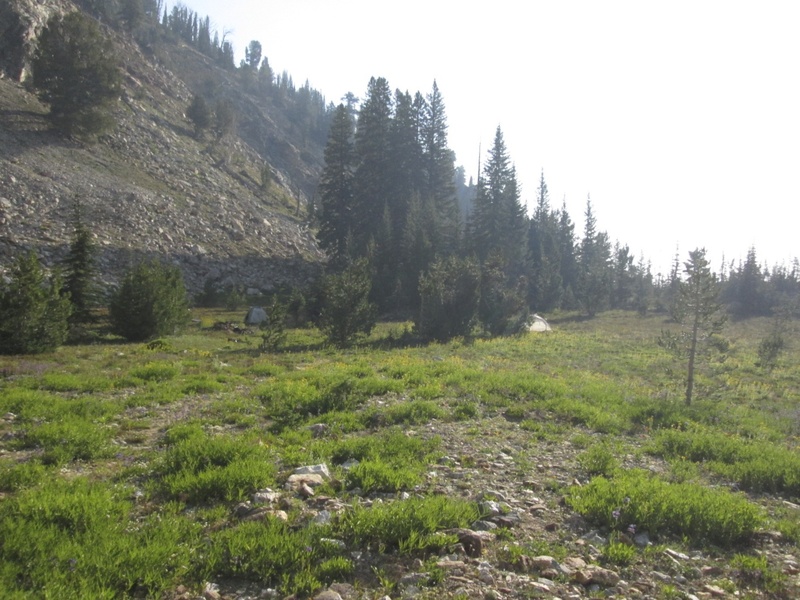 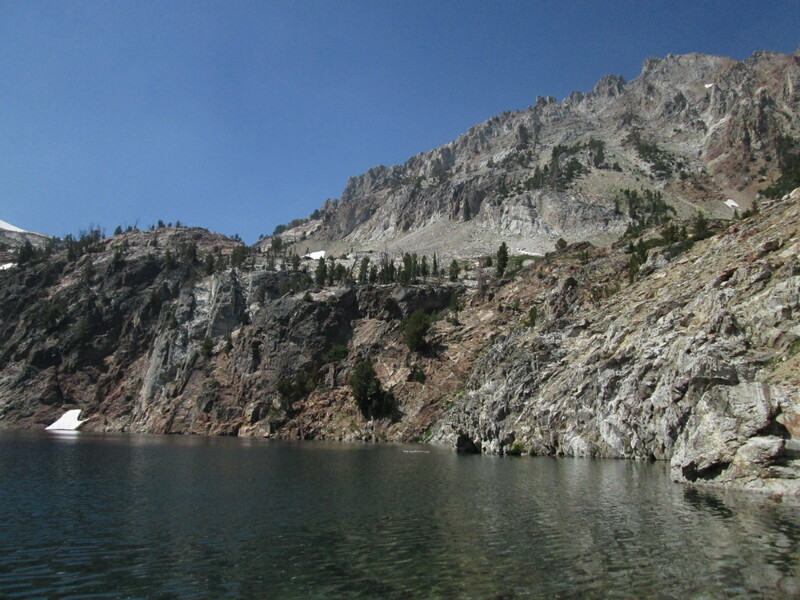 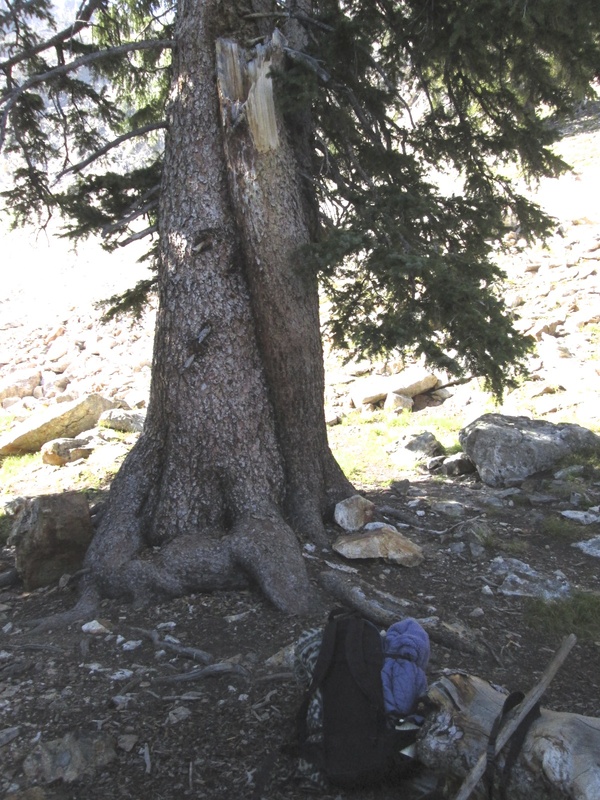 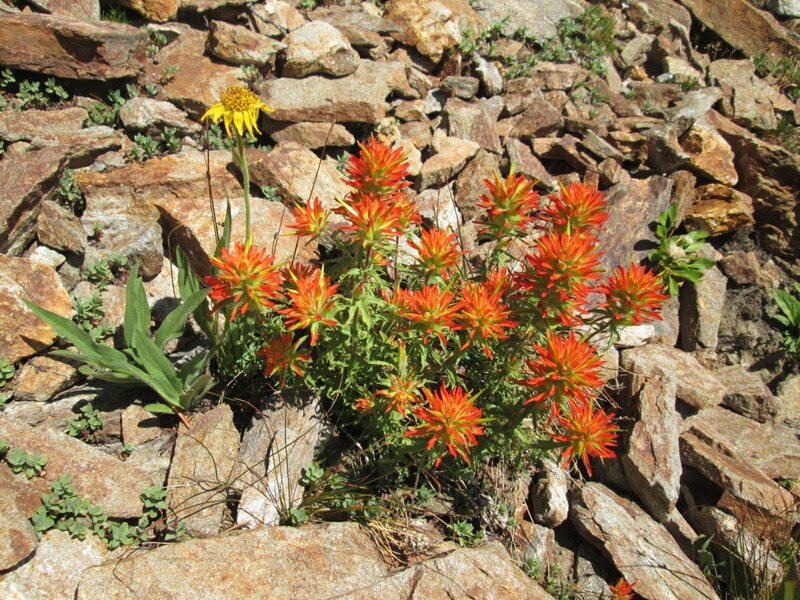 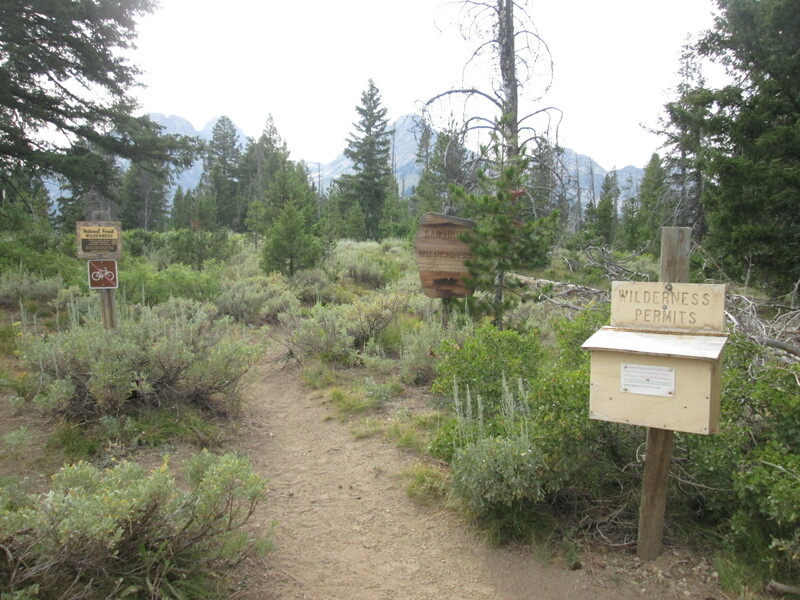 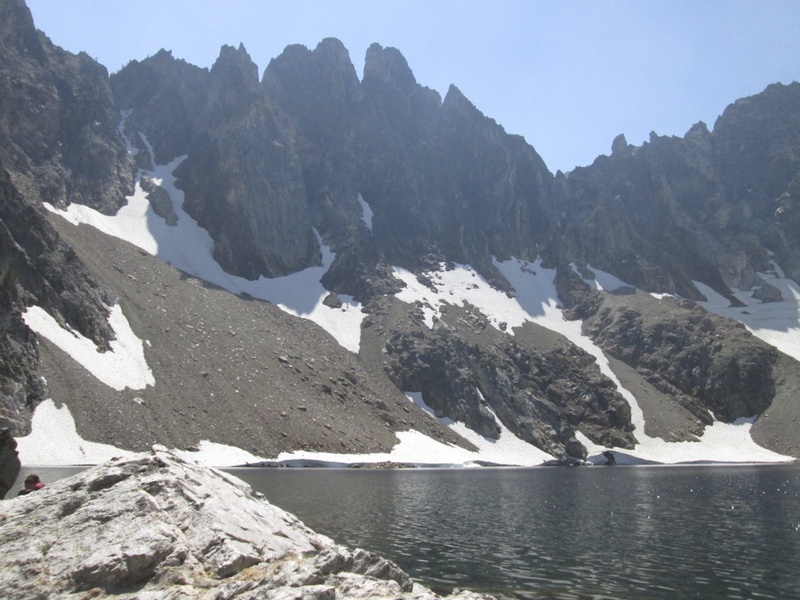 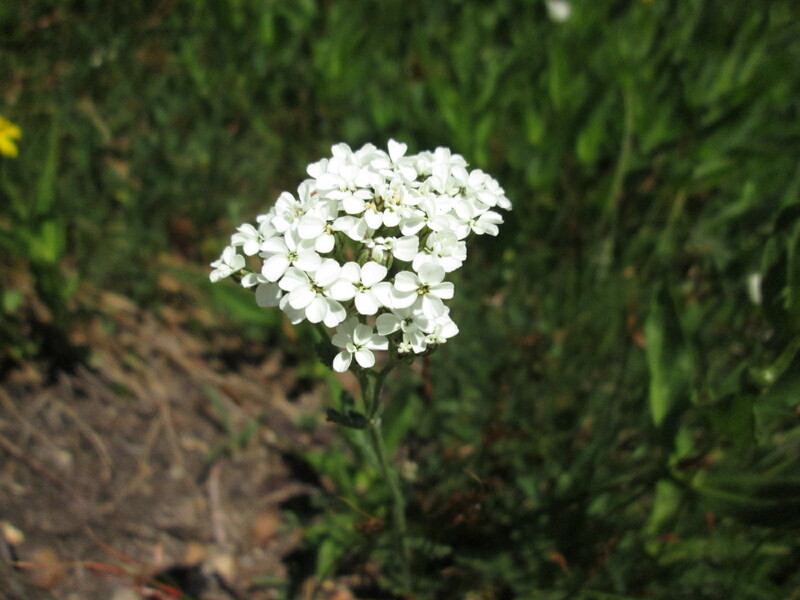 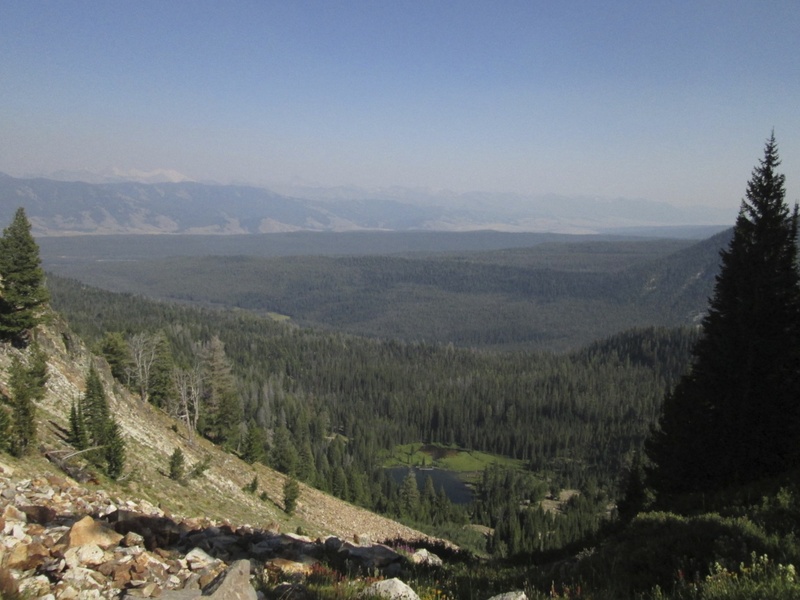 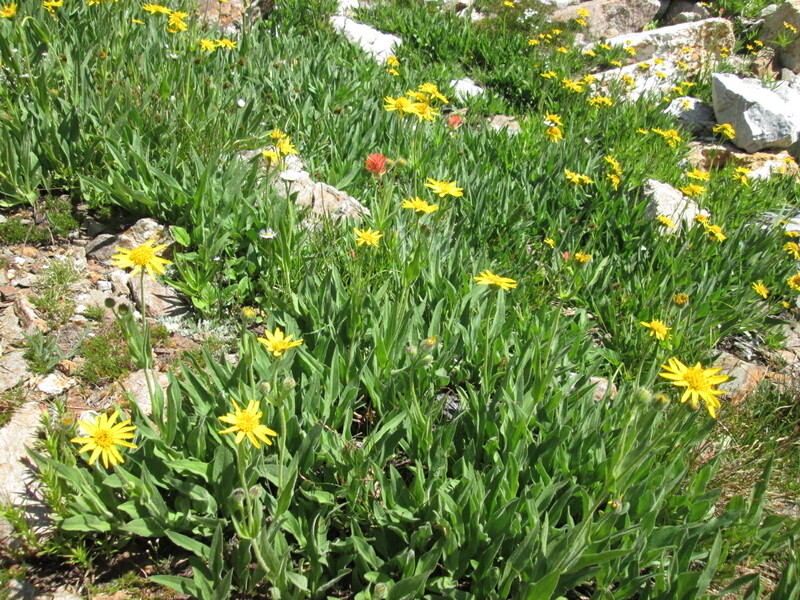 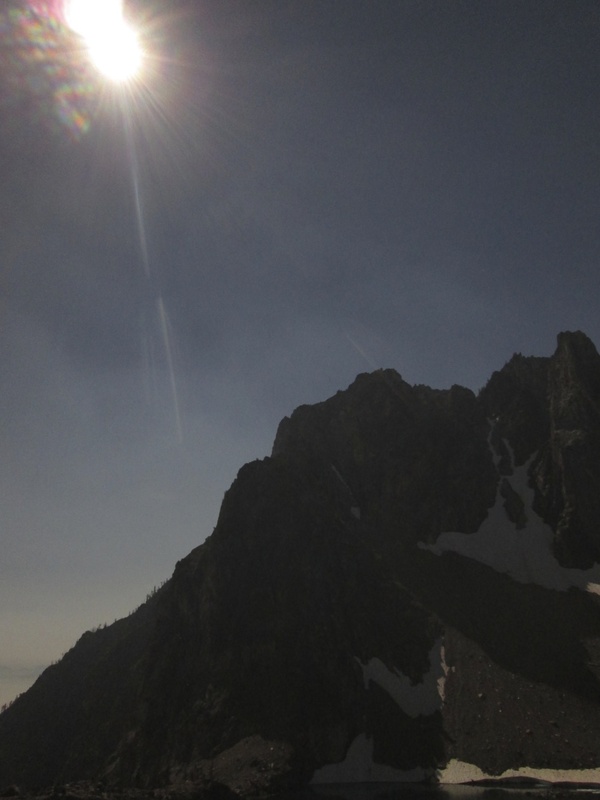 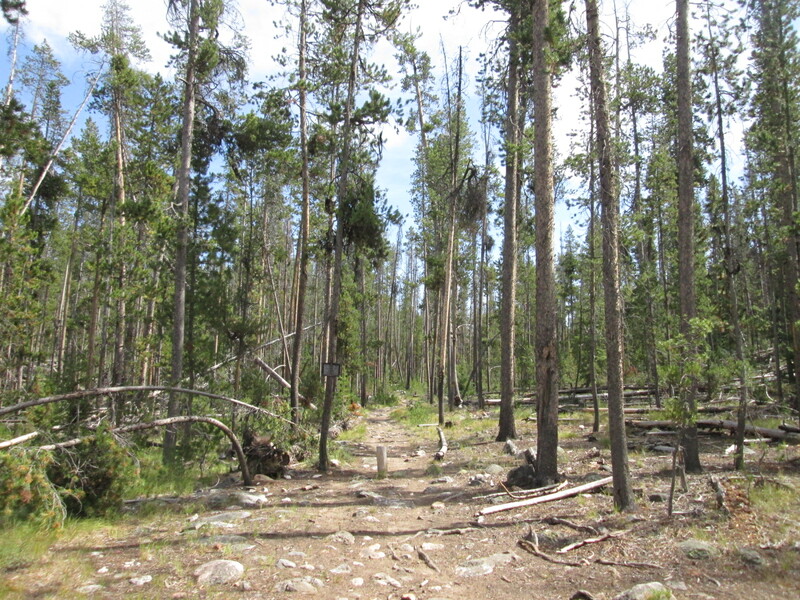 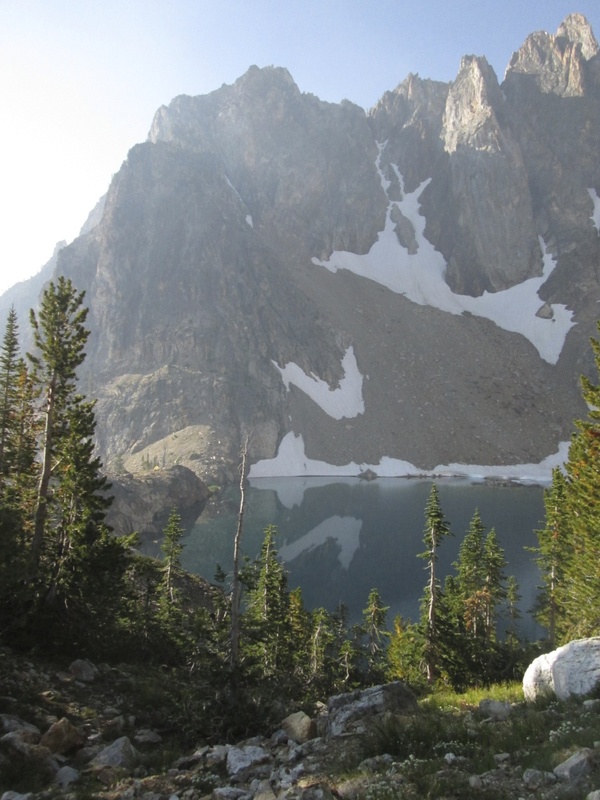 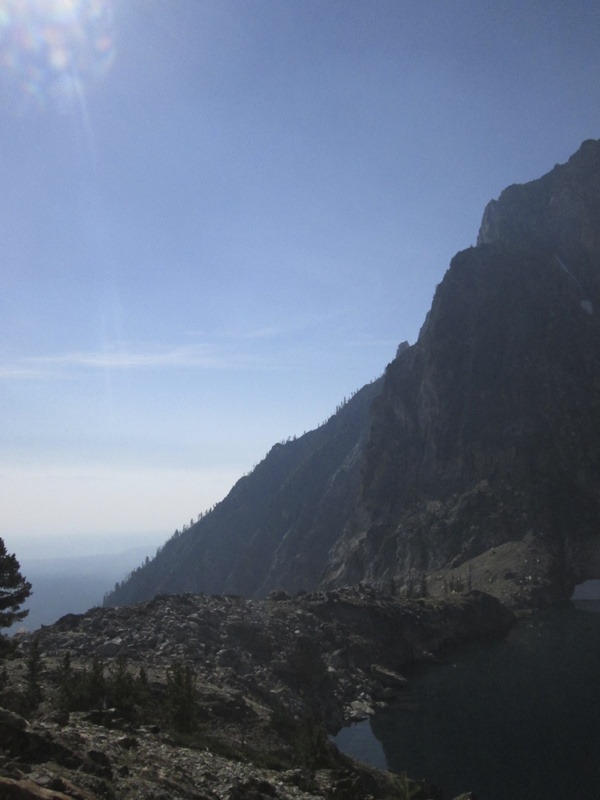 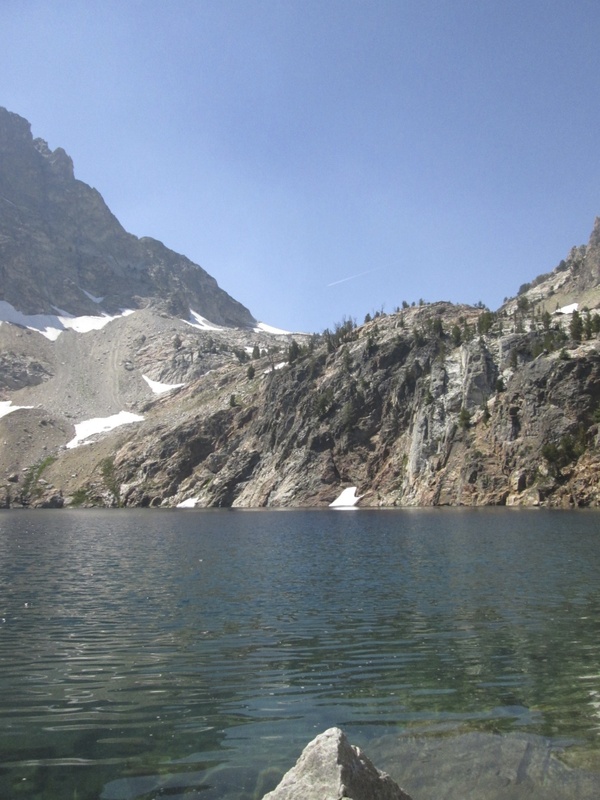 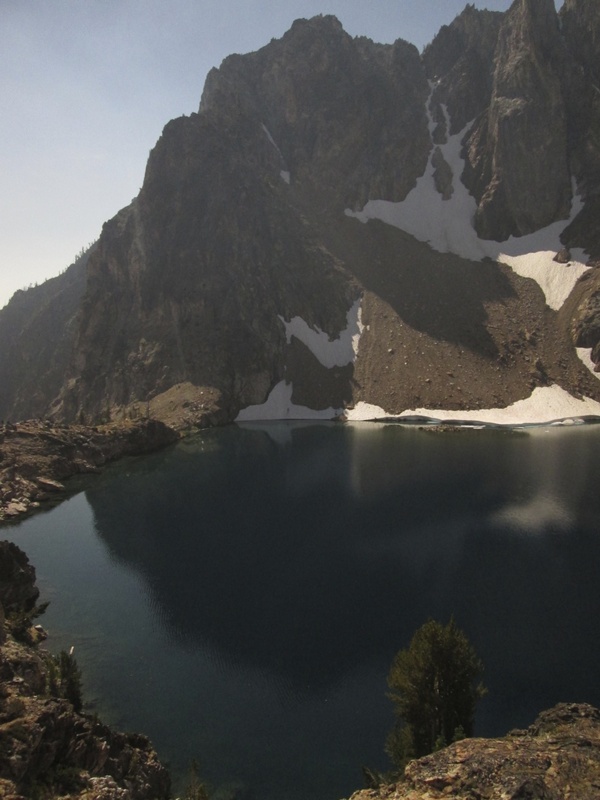 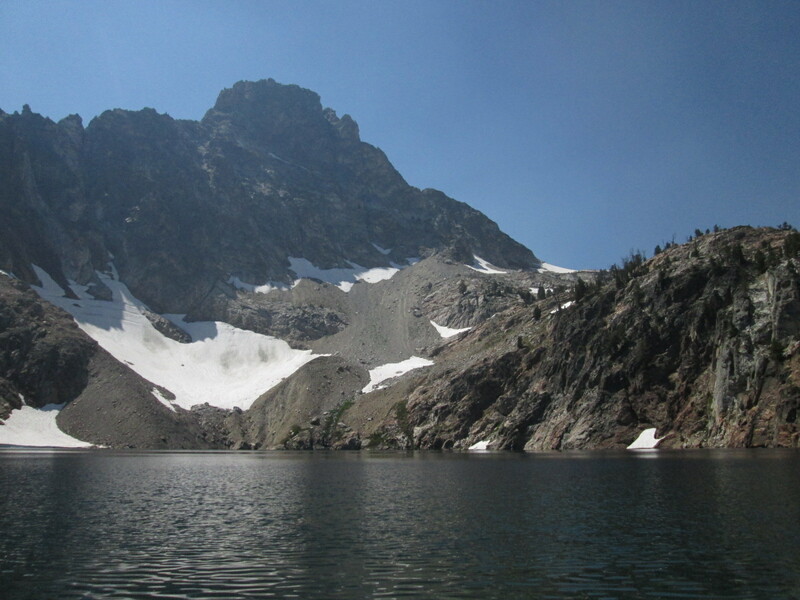 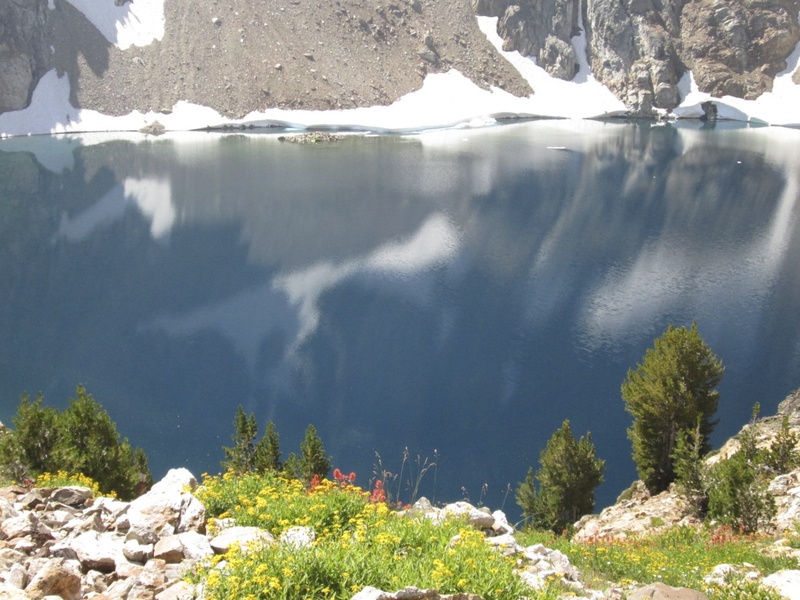 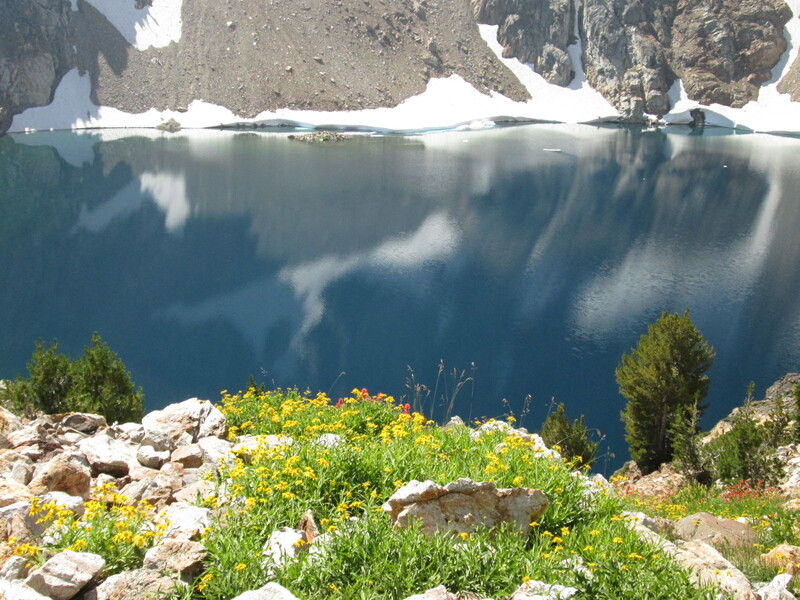 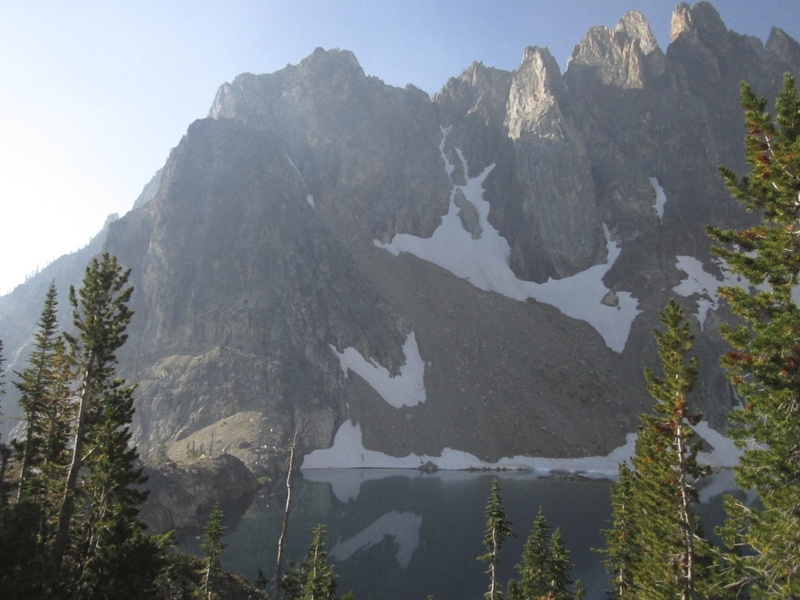 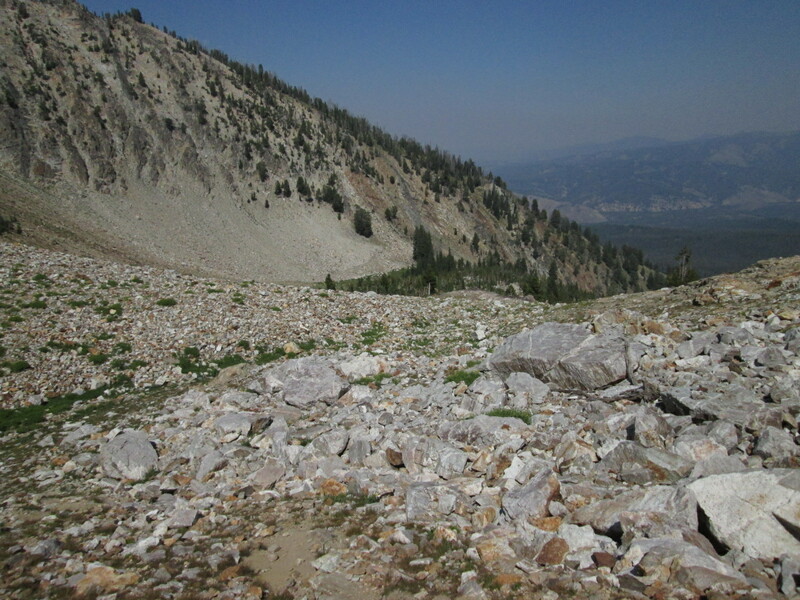 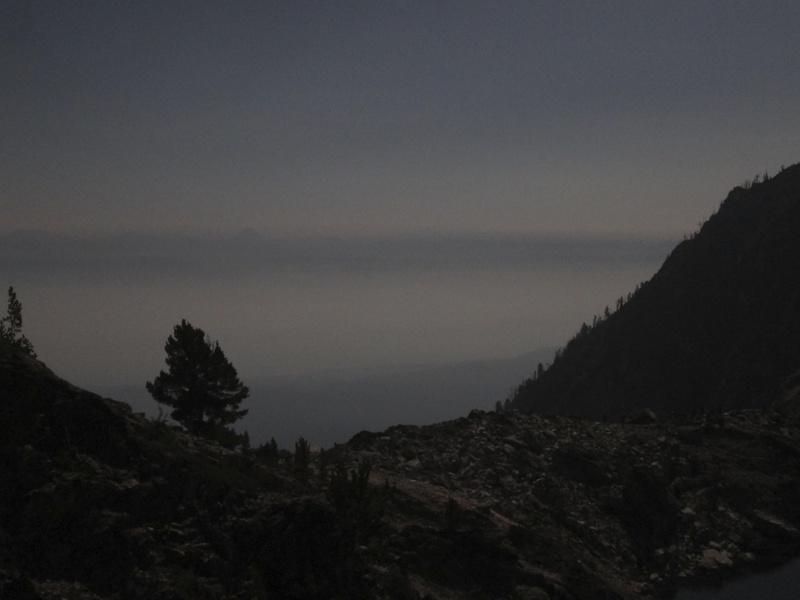 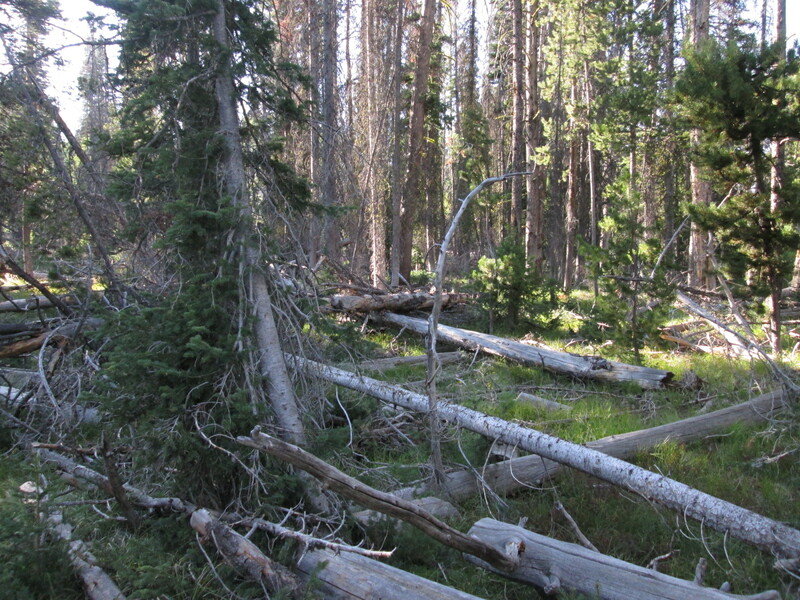 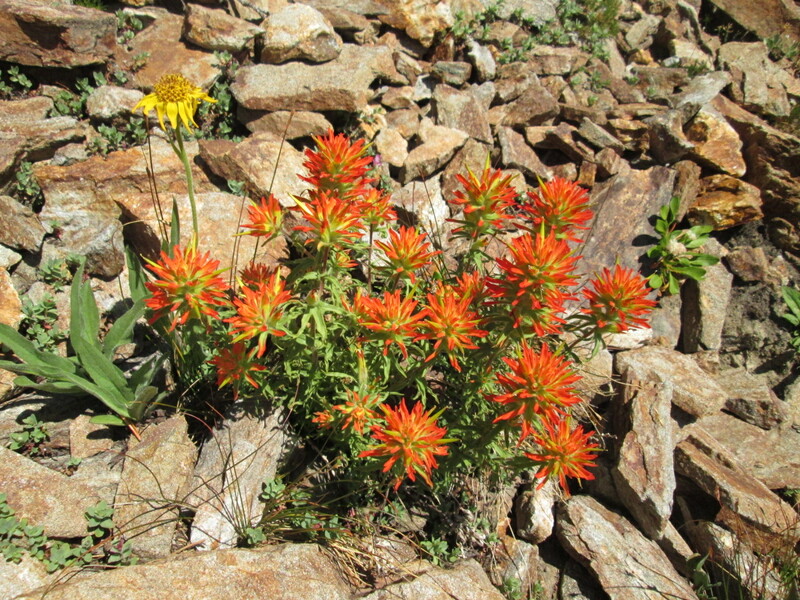 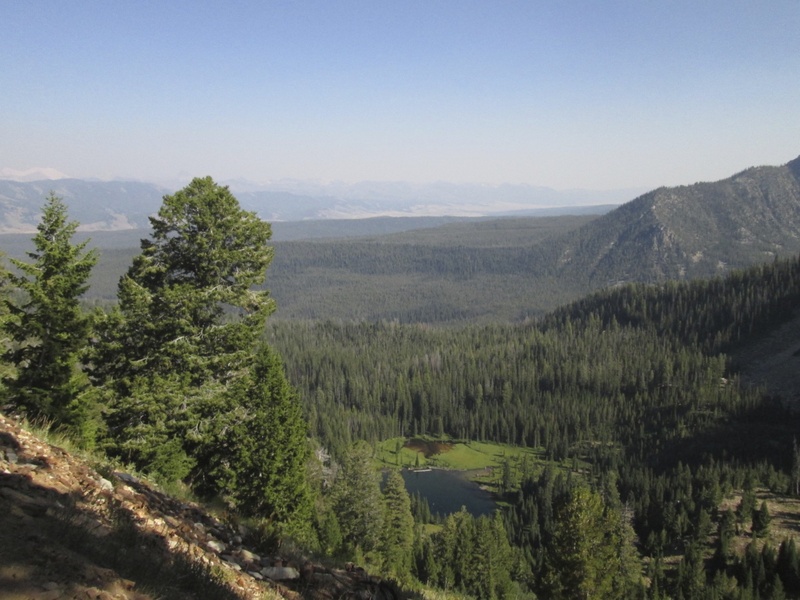 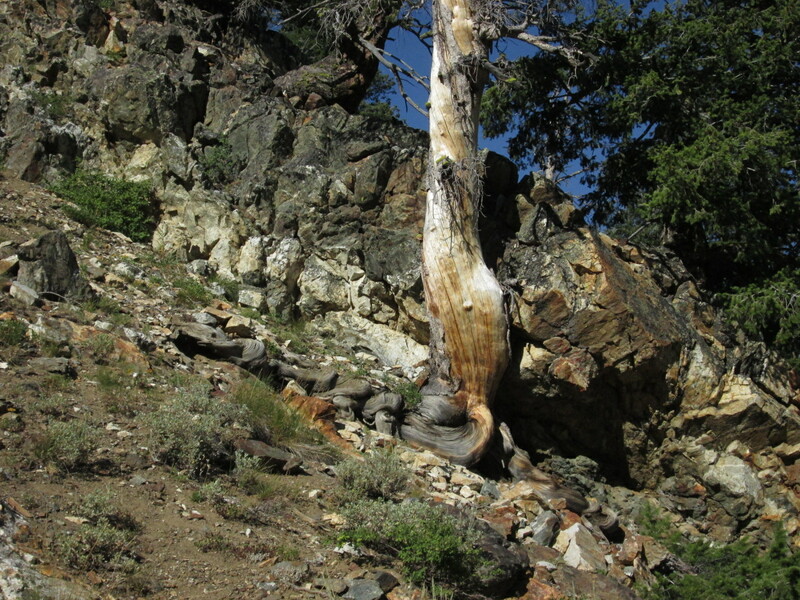 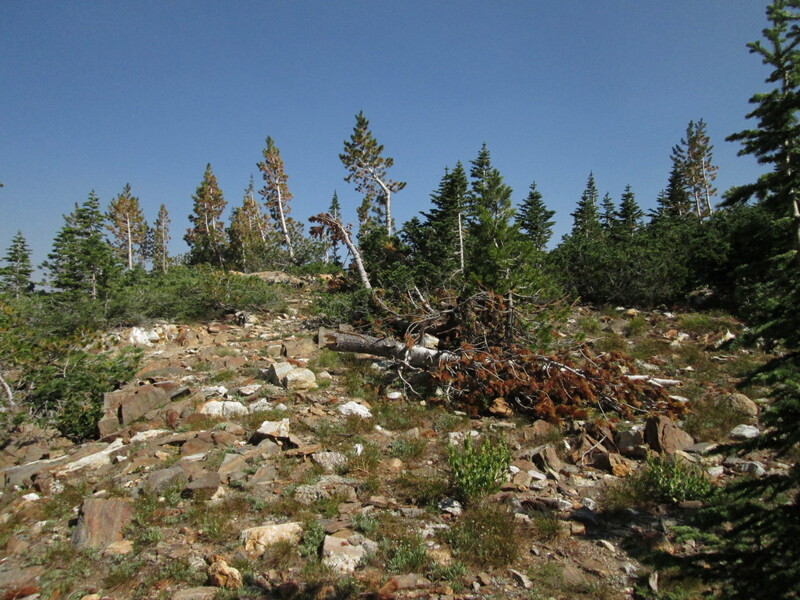 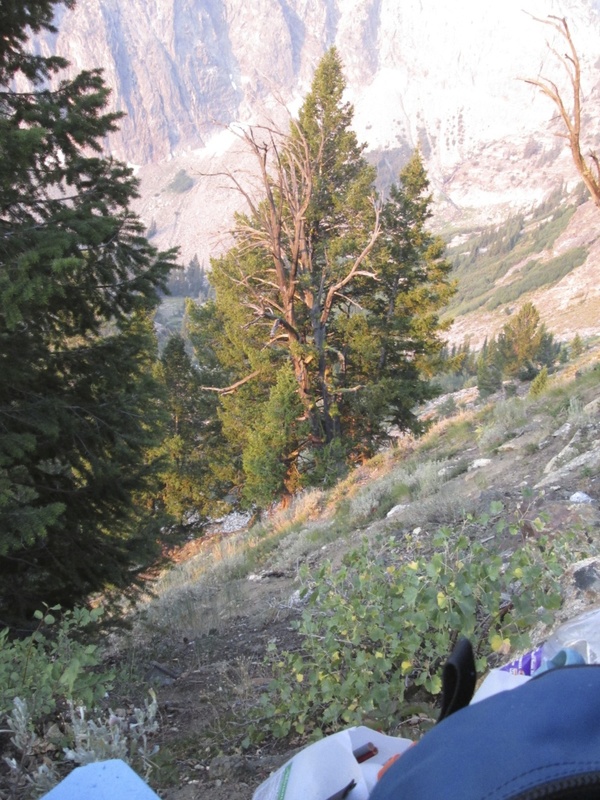 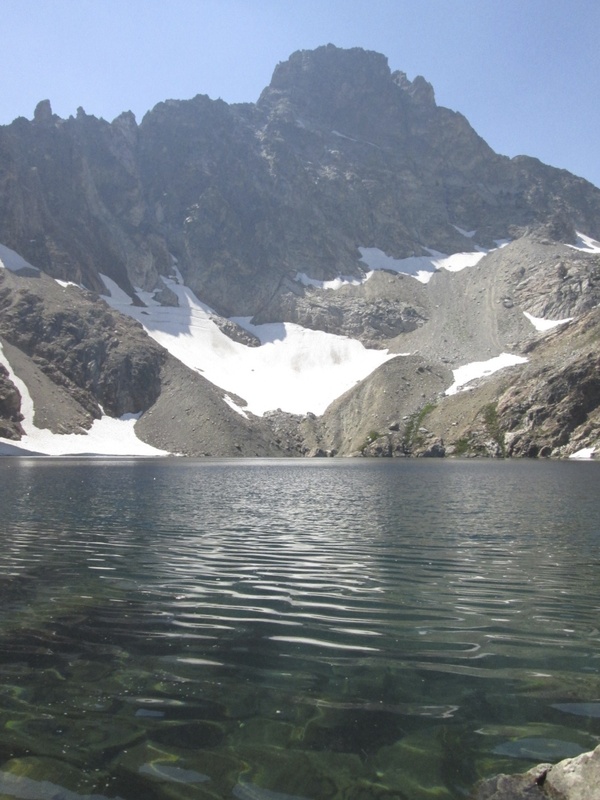 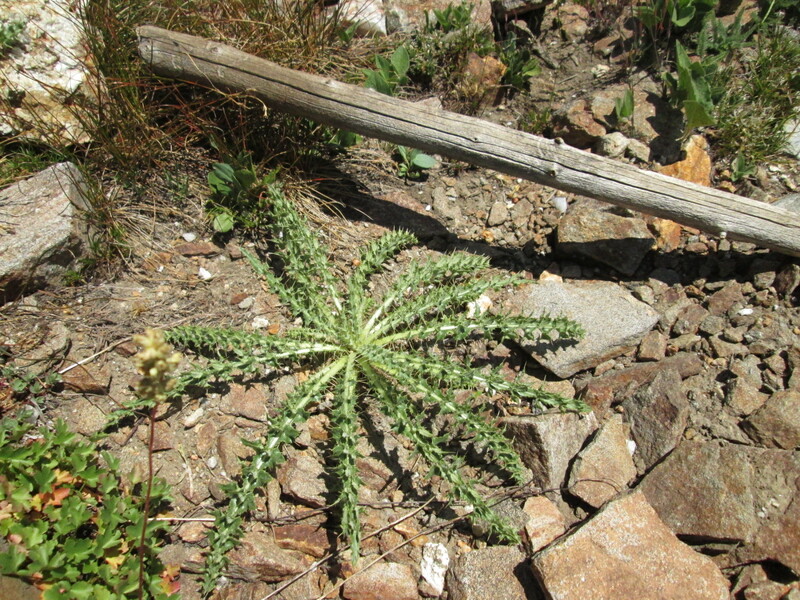 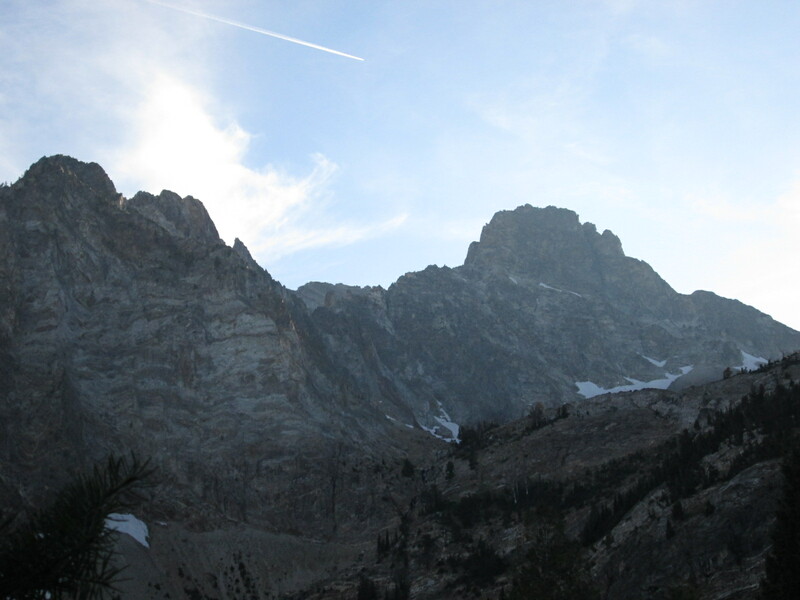 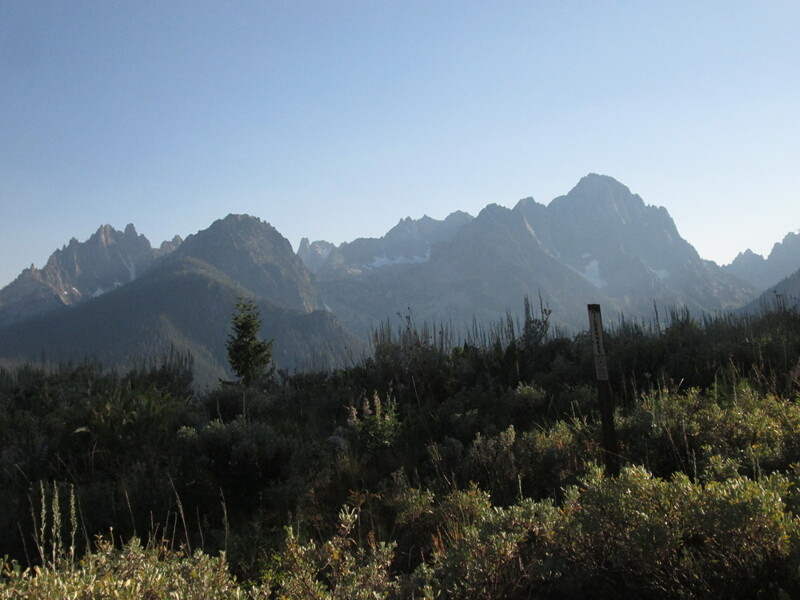 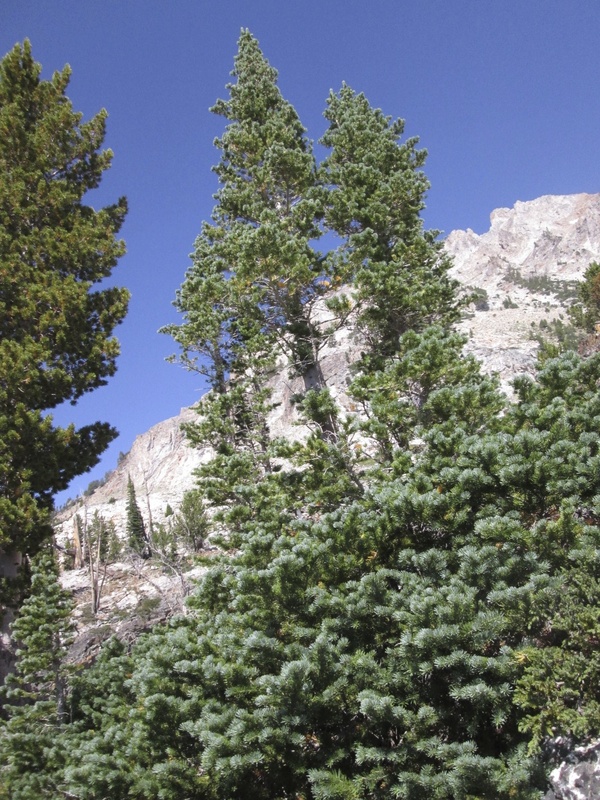 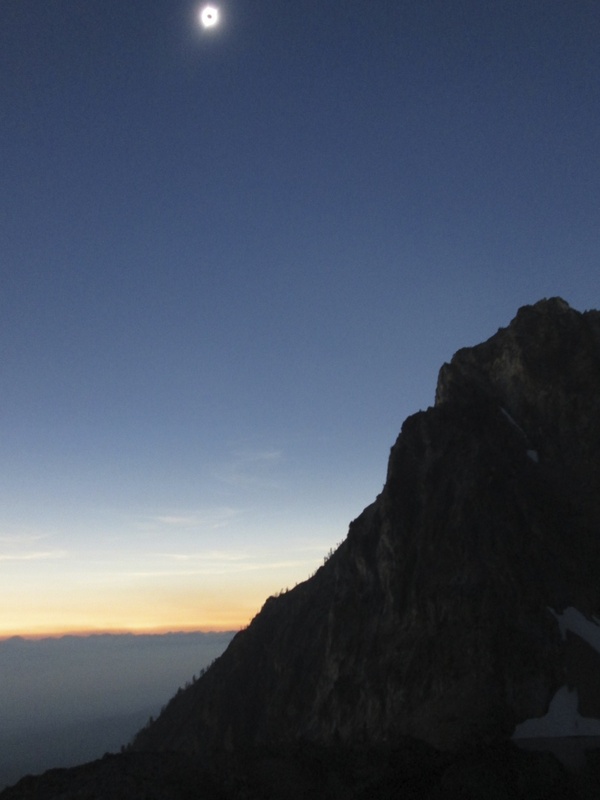 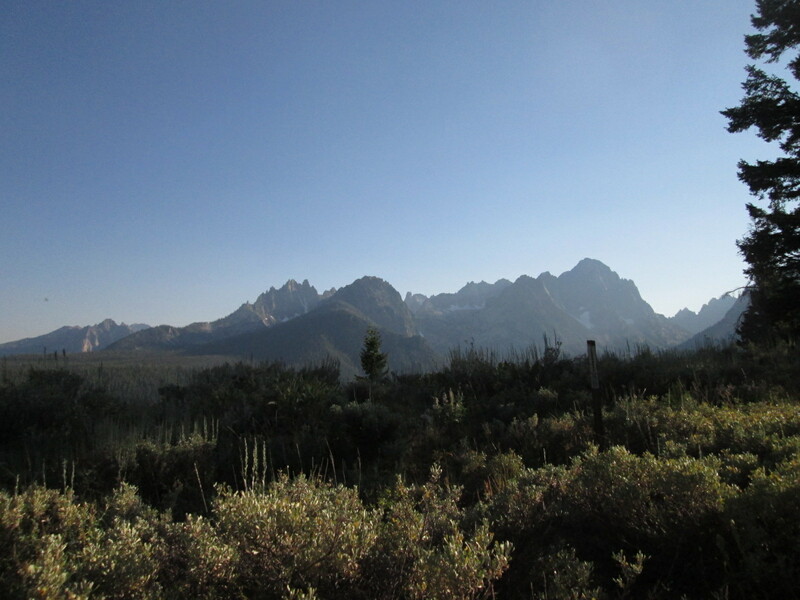 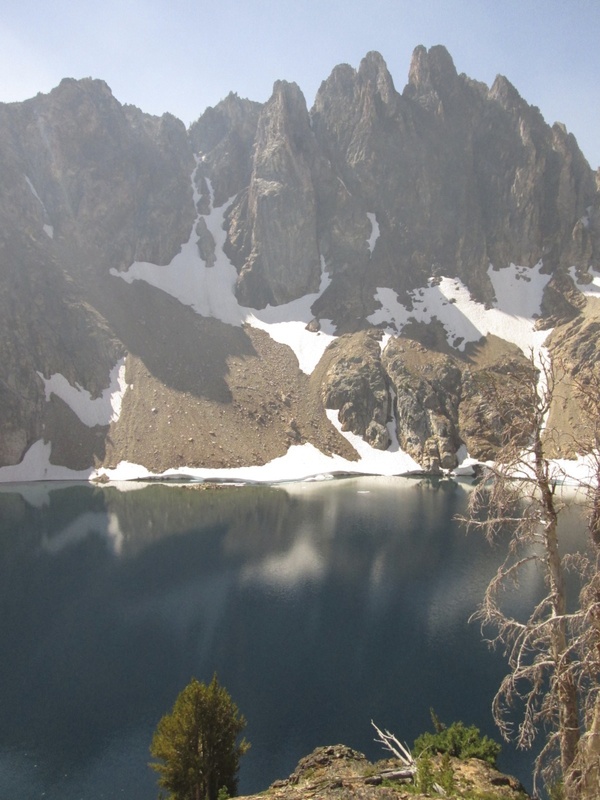 Tragic condition of the Sawtooth National Forest, in spite of its protected status since 1972! 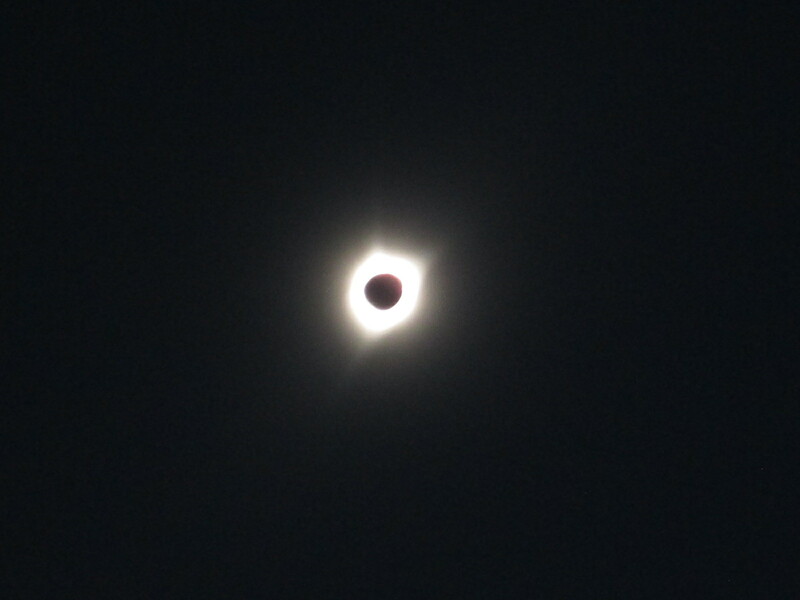 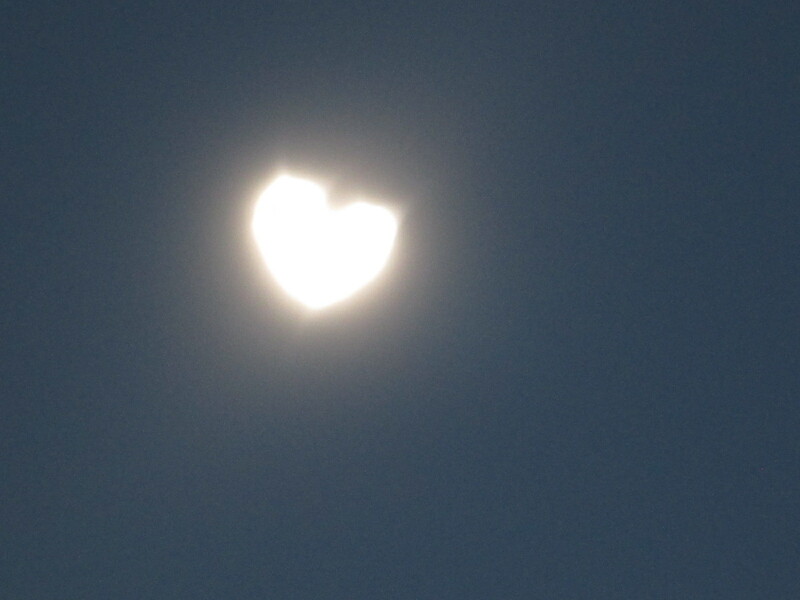 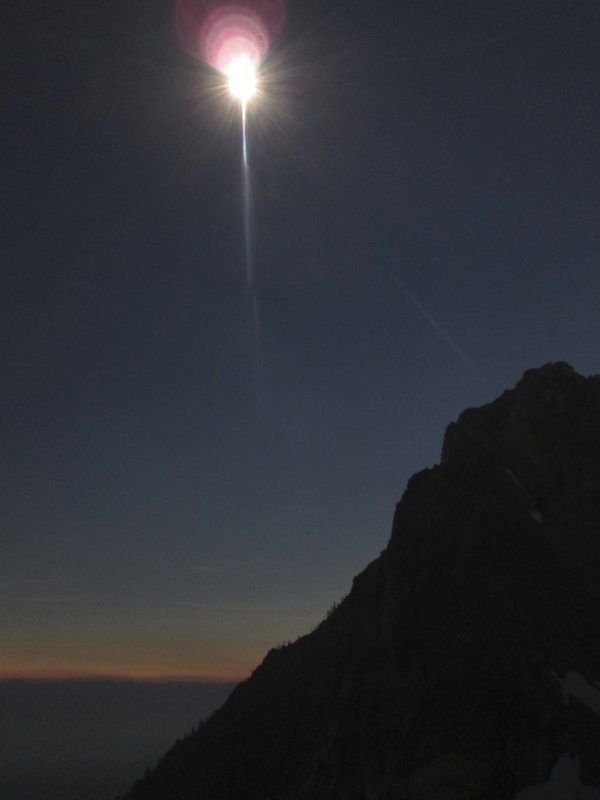 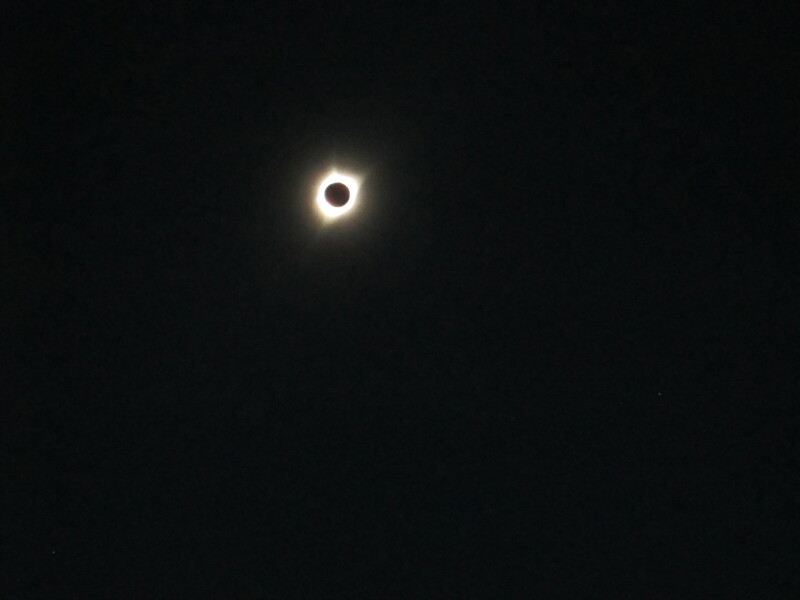 The moment the Sun began to emerge from behind the Moon… this was as close as my little $90 Canon could get to capturing the diamond ring effect. 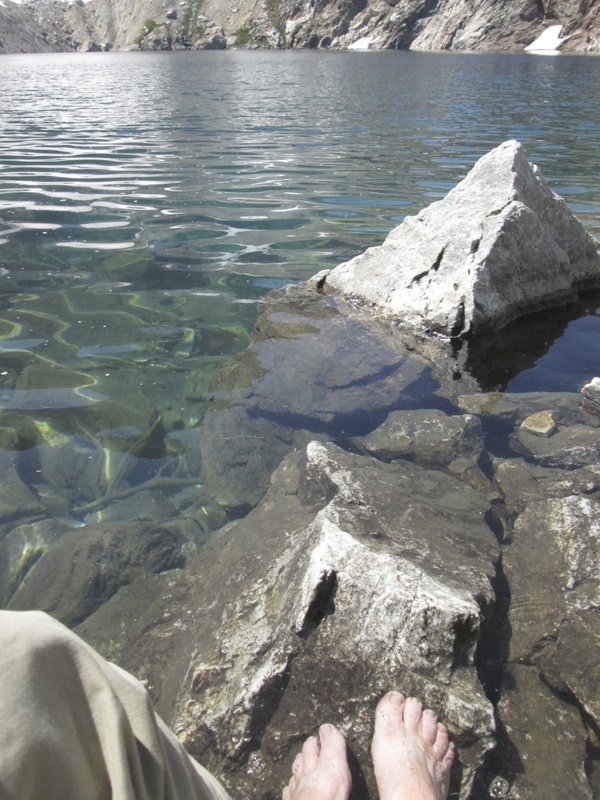 Water so clear, it’s hard to tell that my feet are below the surface! 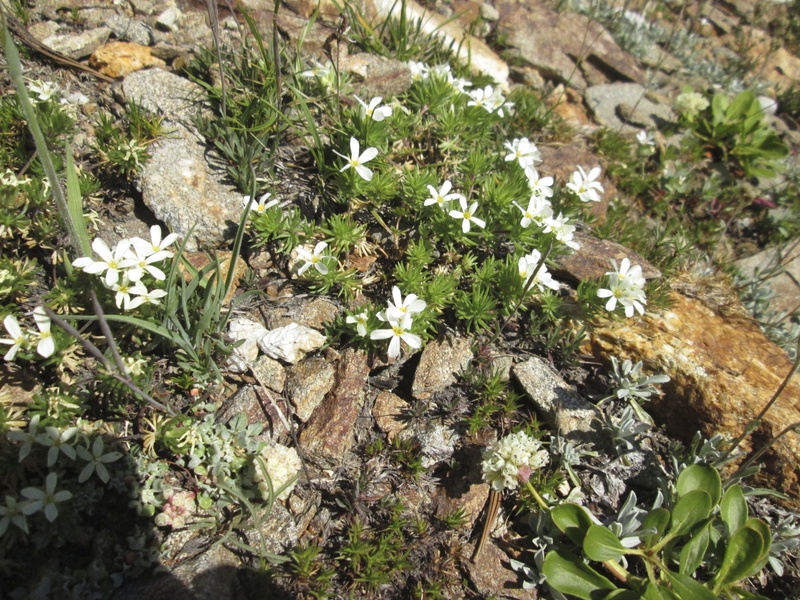 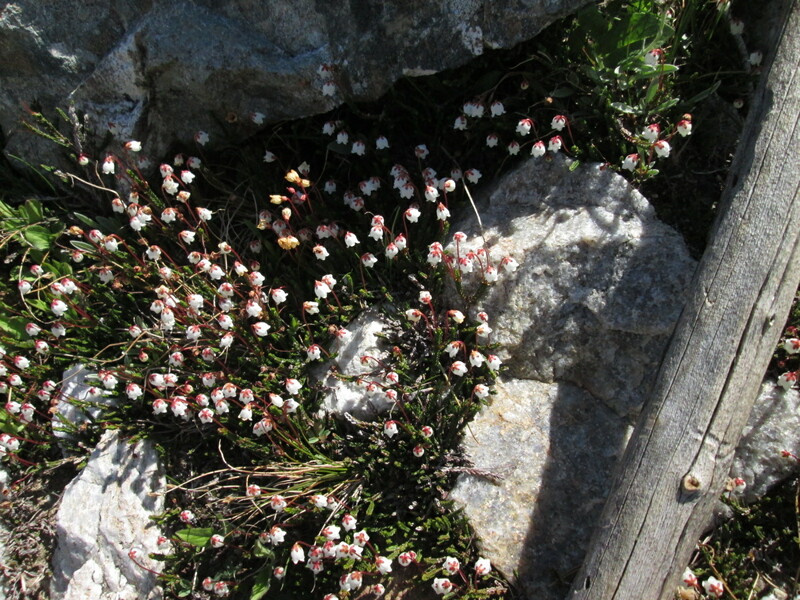 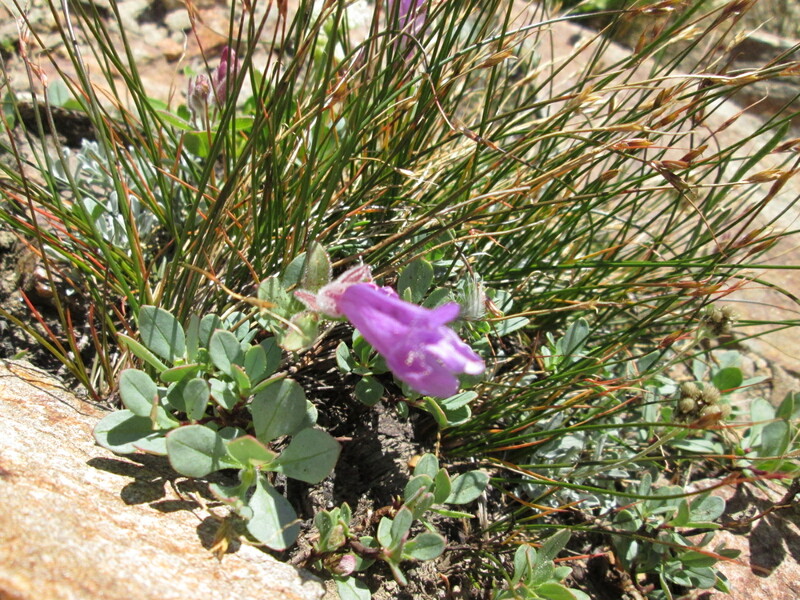 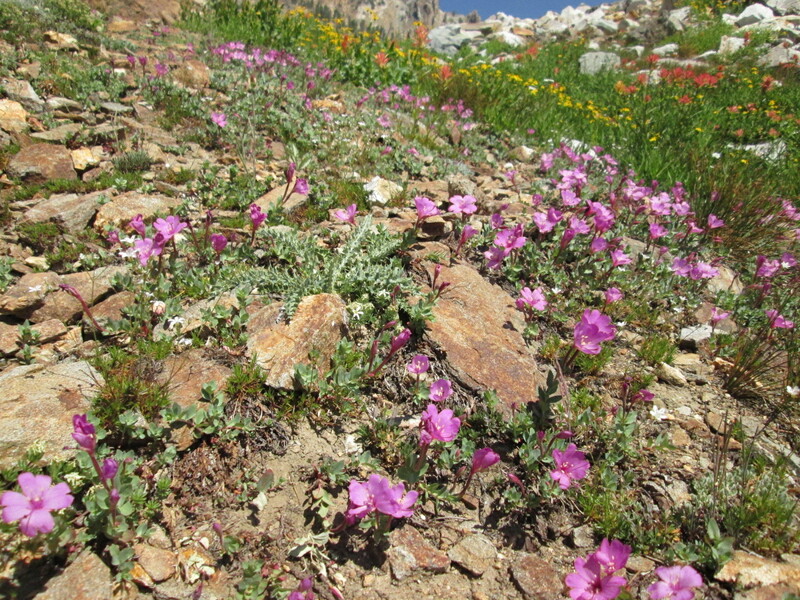 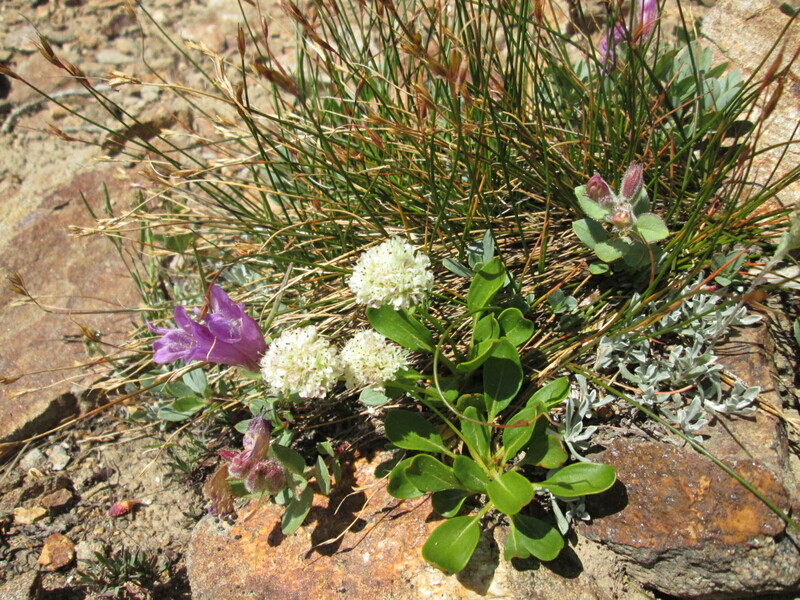 More Merten’s Mountain Heather, this time in full bloom… note how tiny the blooms are next to my 1 1/2″ diameter walking stick! 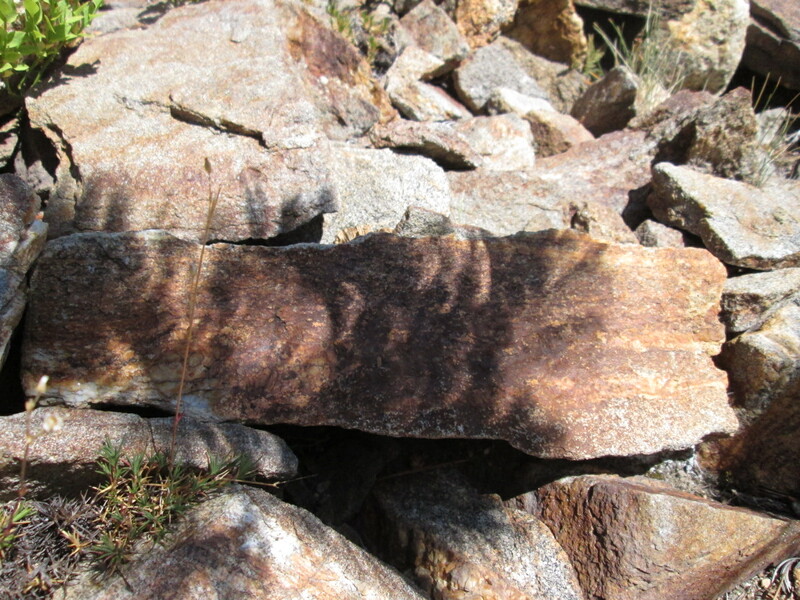 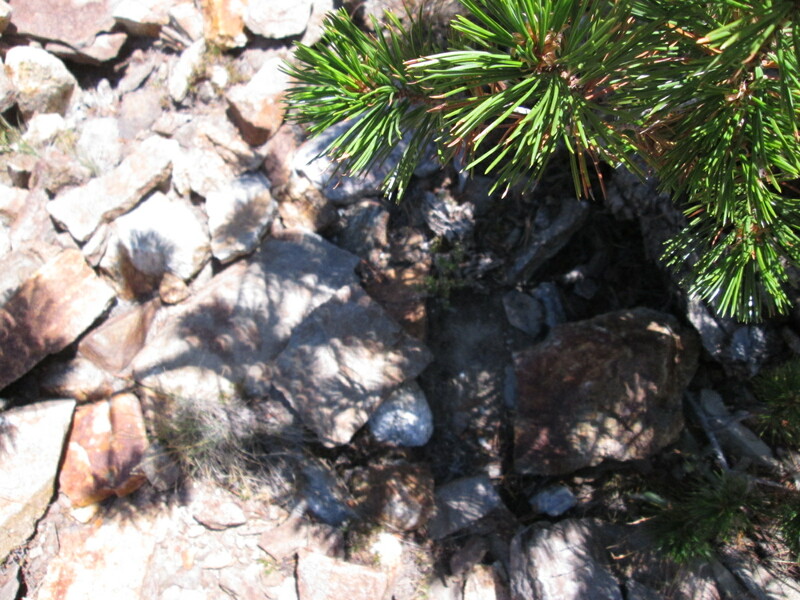 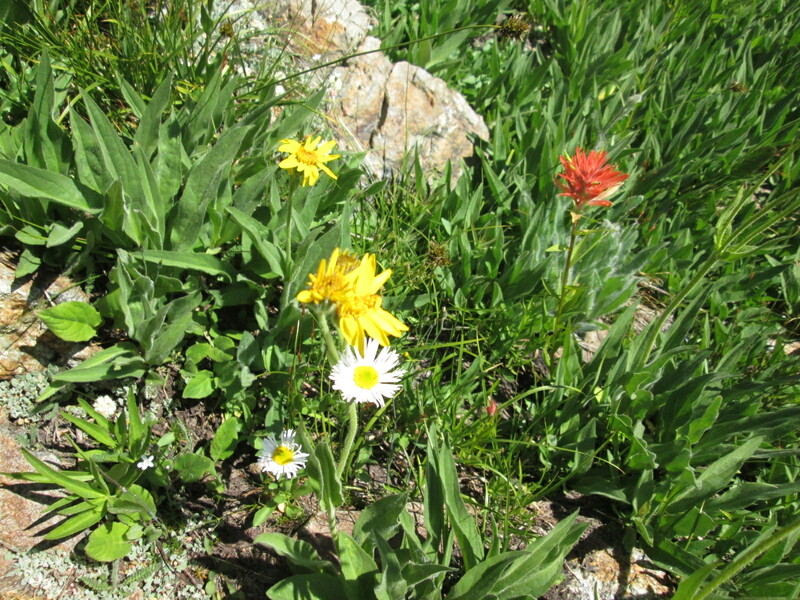 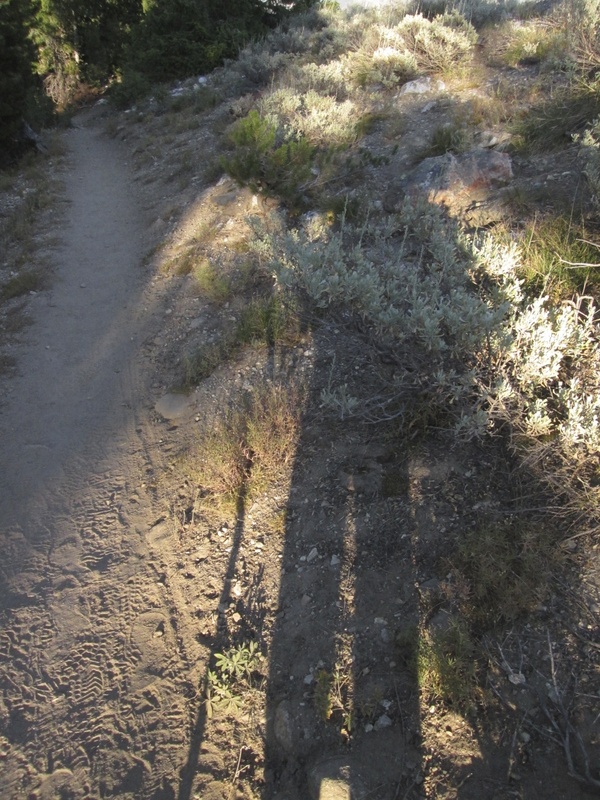 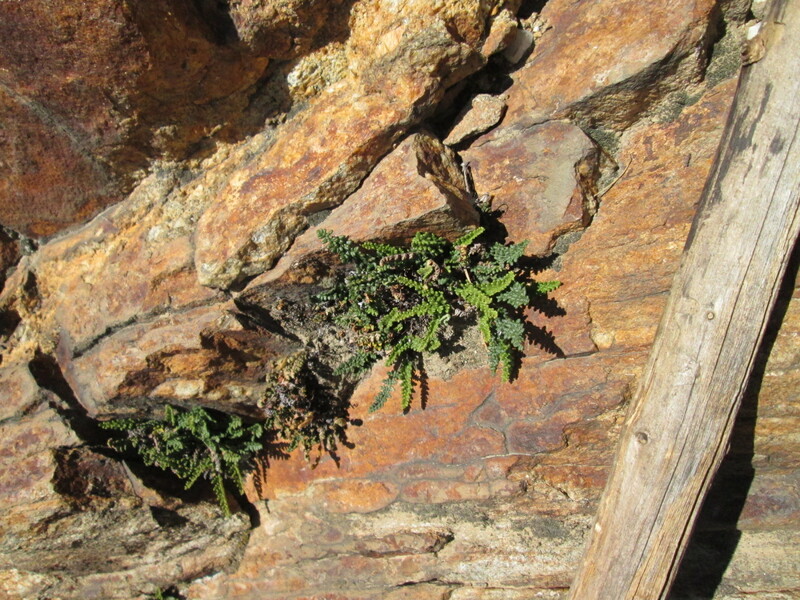 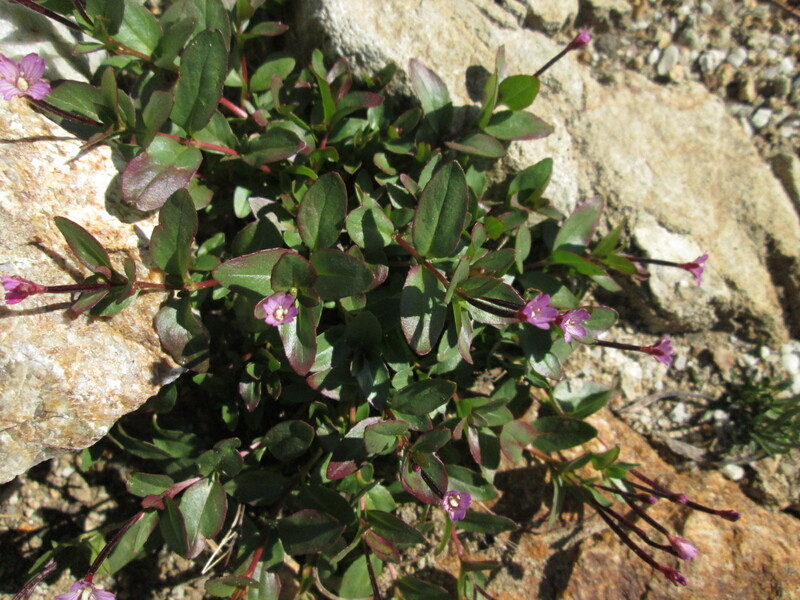 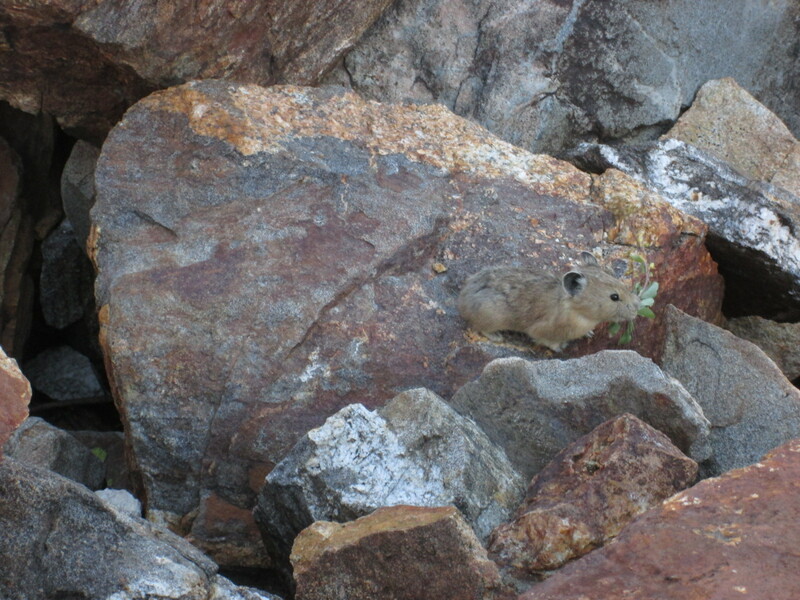 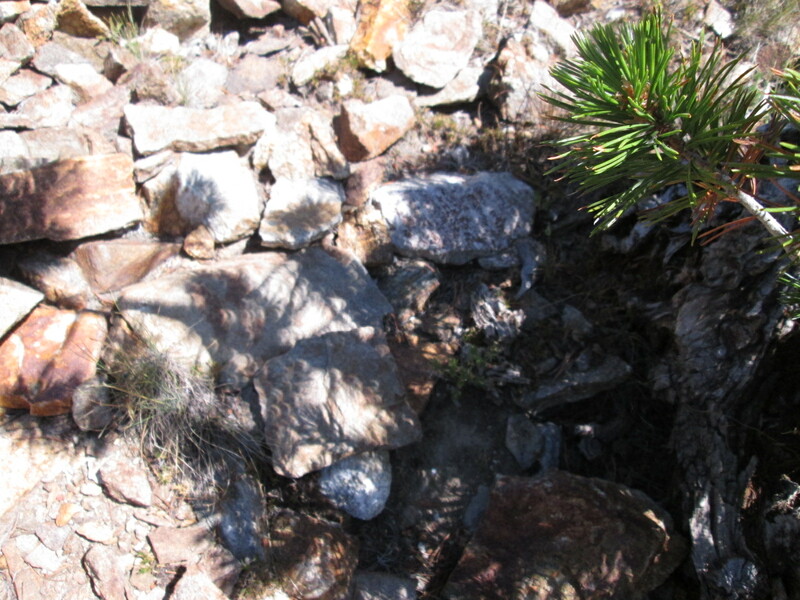 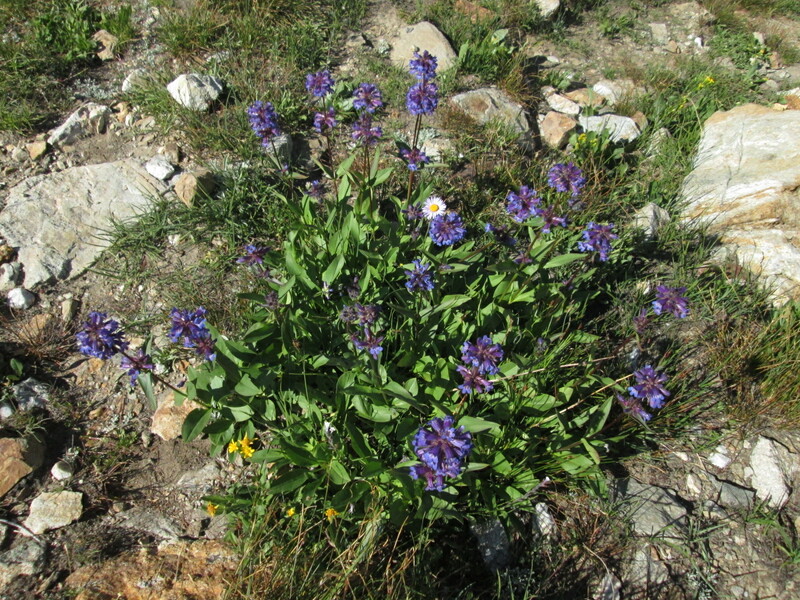 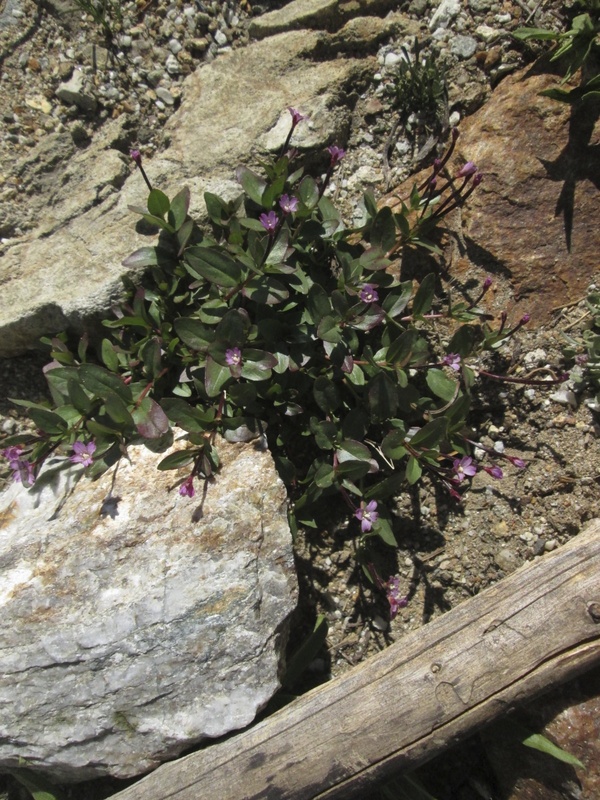 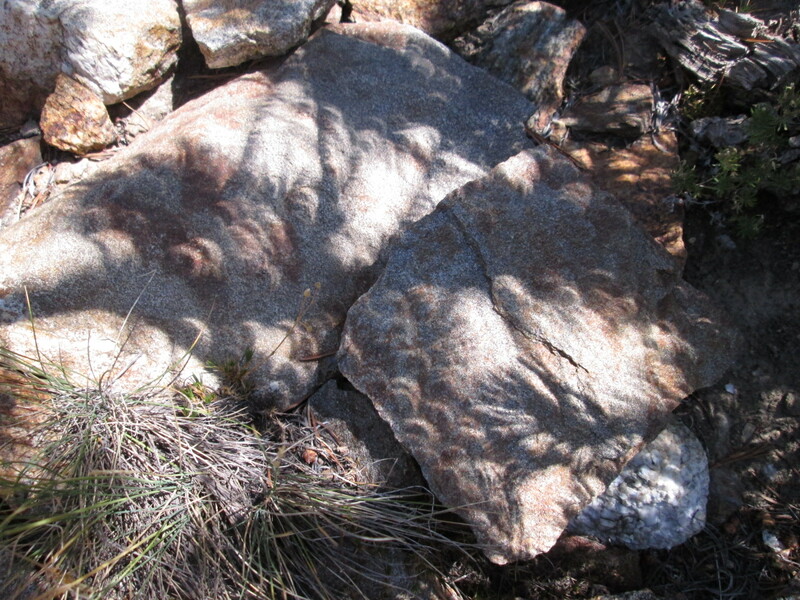 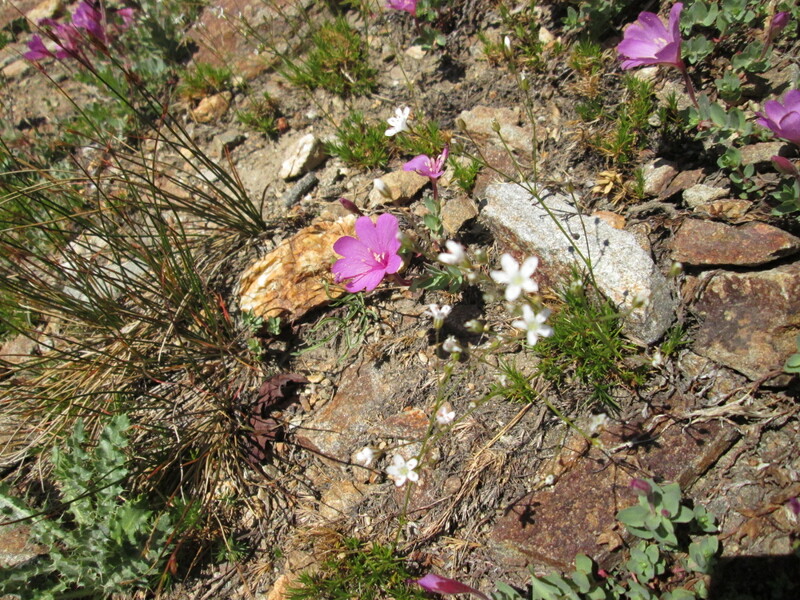 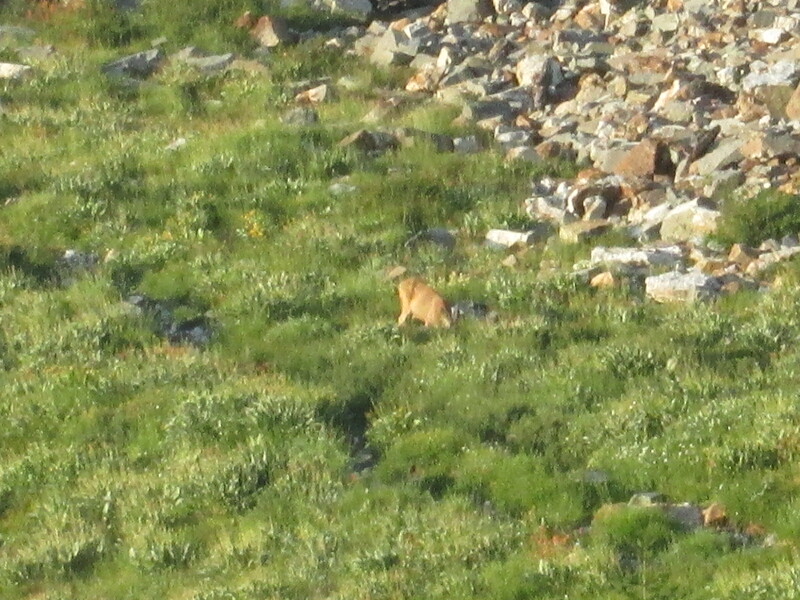 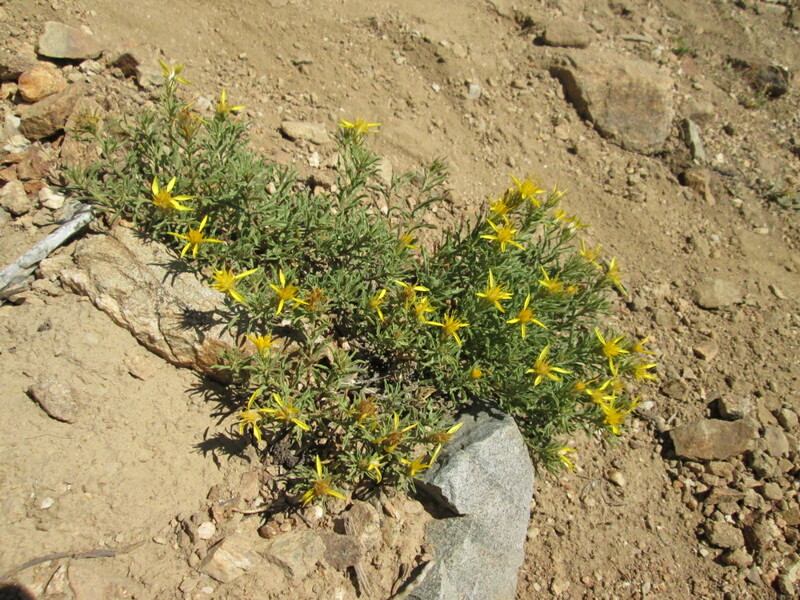 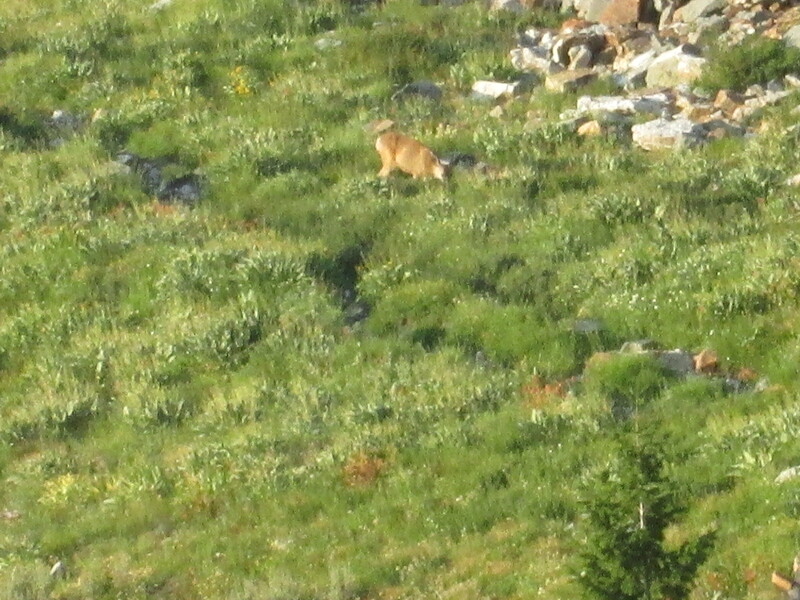 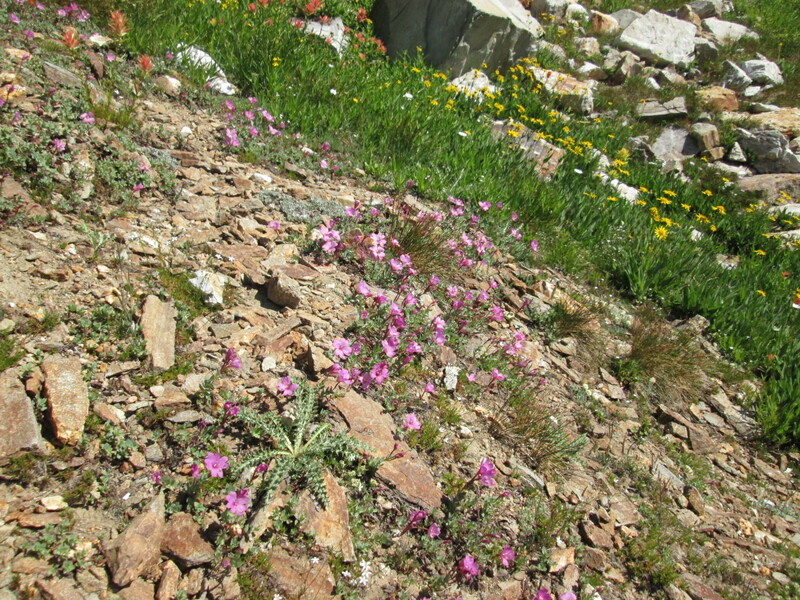 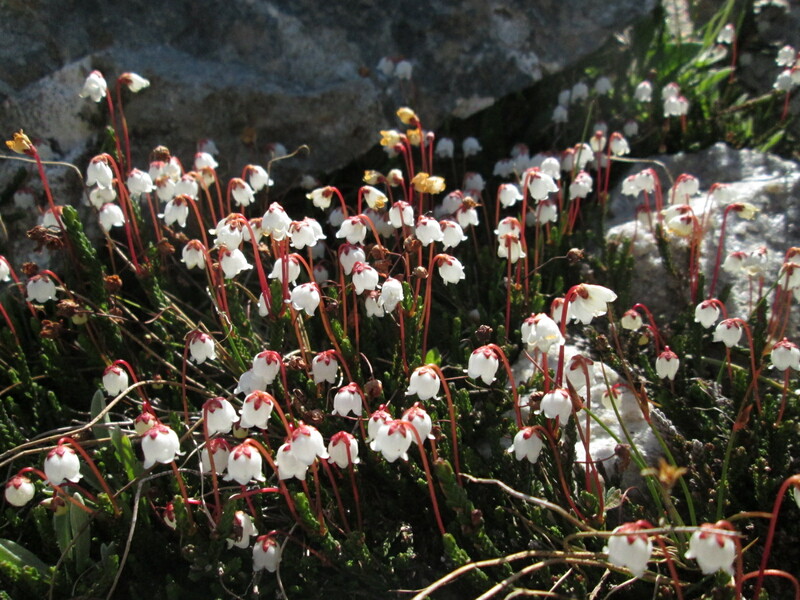 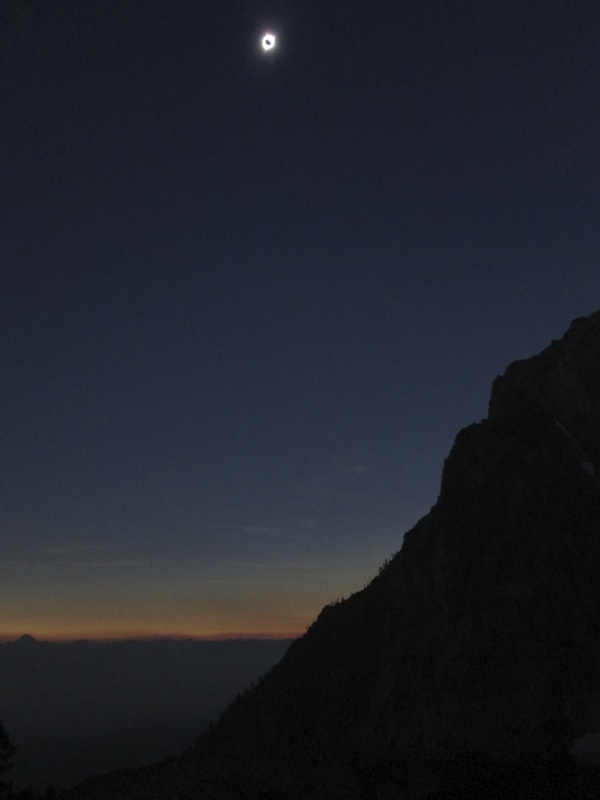 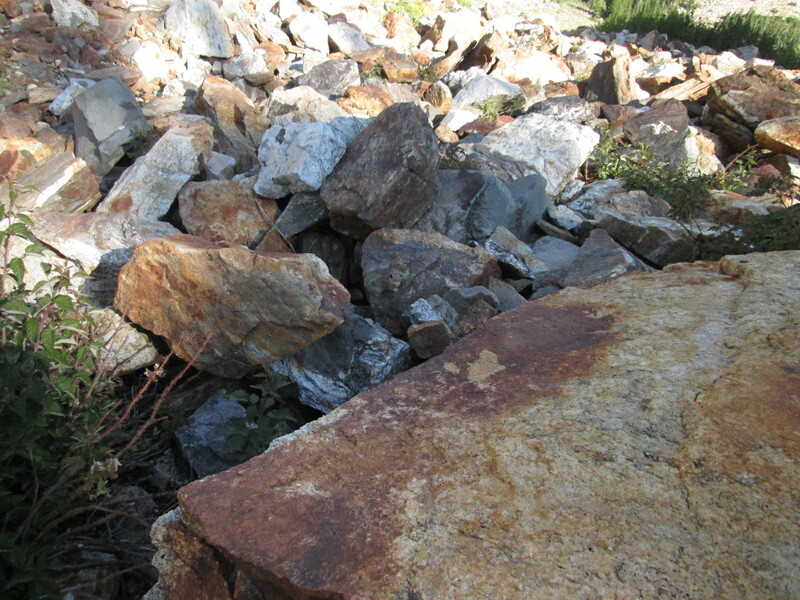 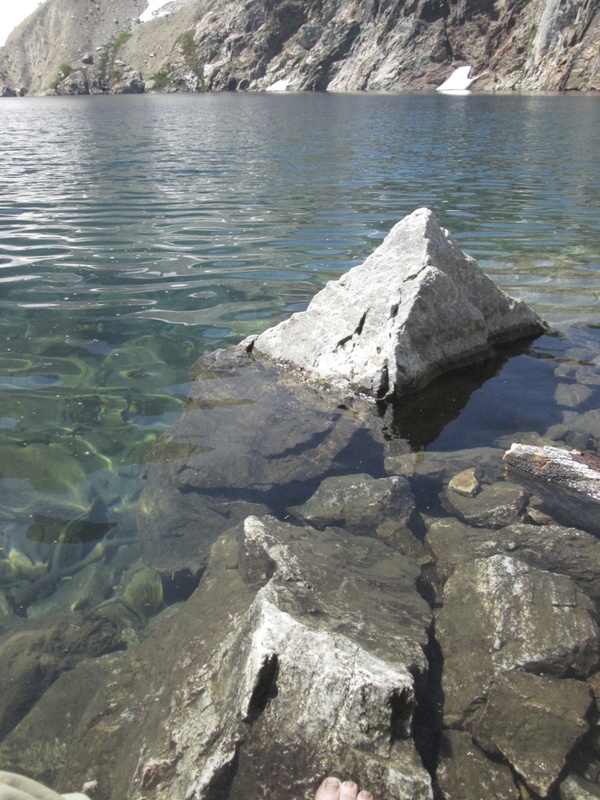 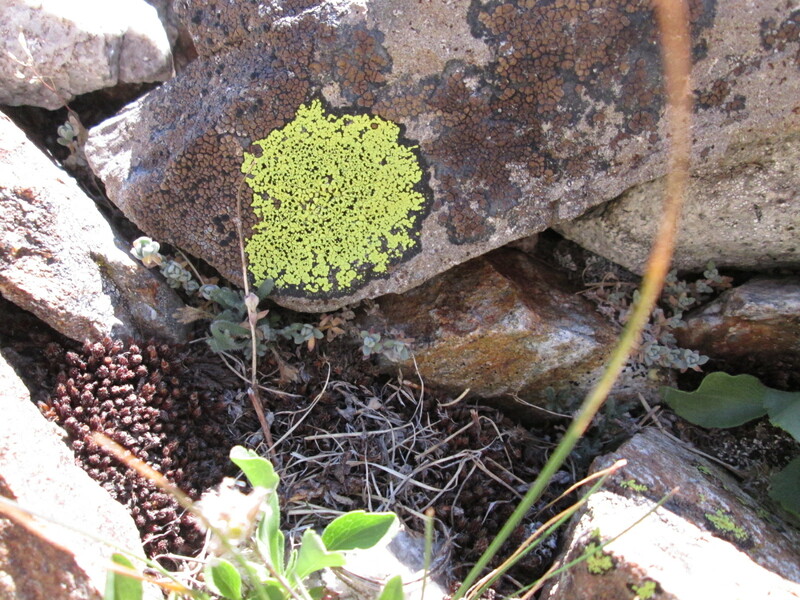 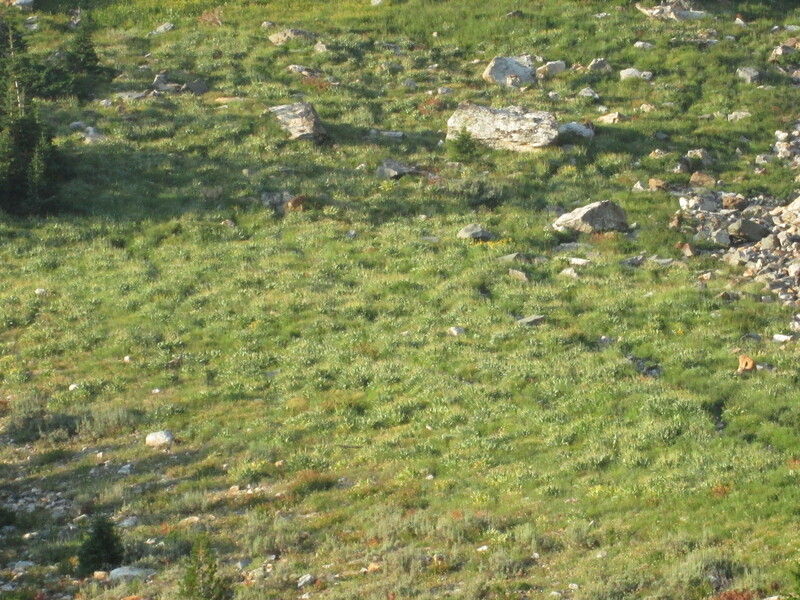 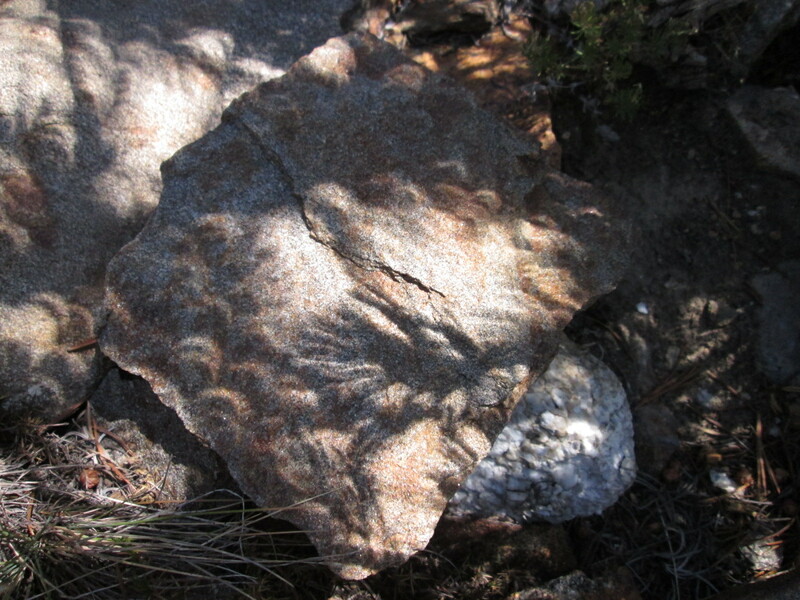 Look close… do you see the pika?